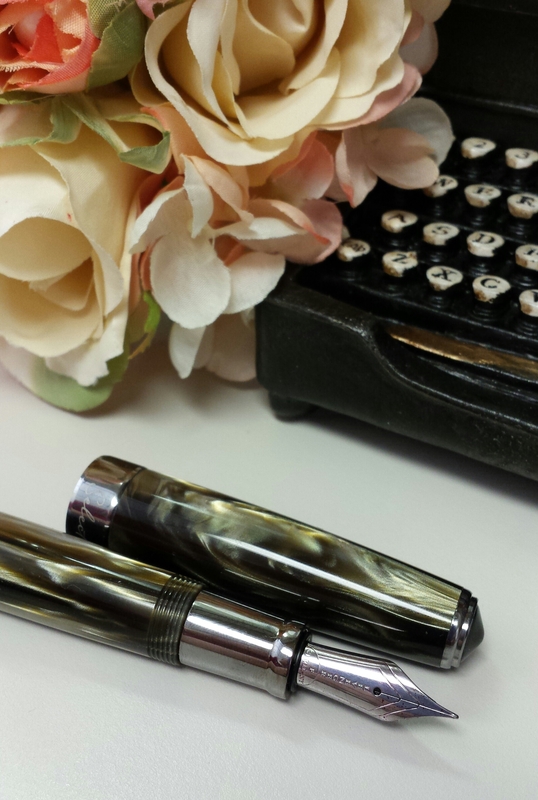 A couple of months ago I had the opportunity to review the Levenger True Writer Select fountain pen, which I really enjoyed. 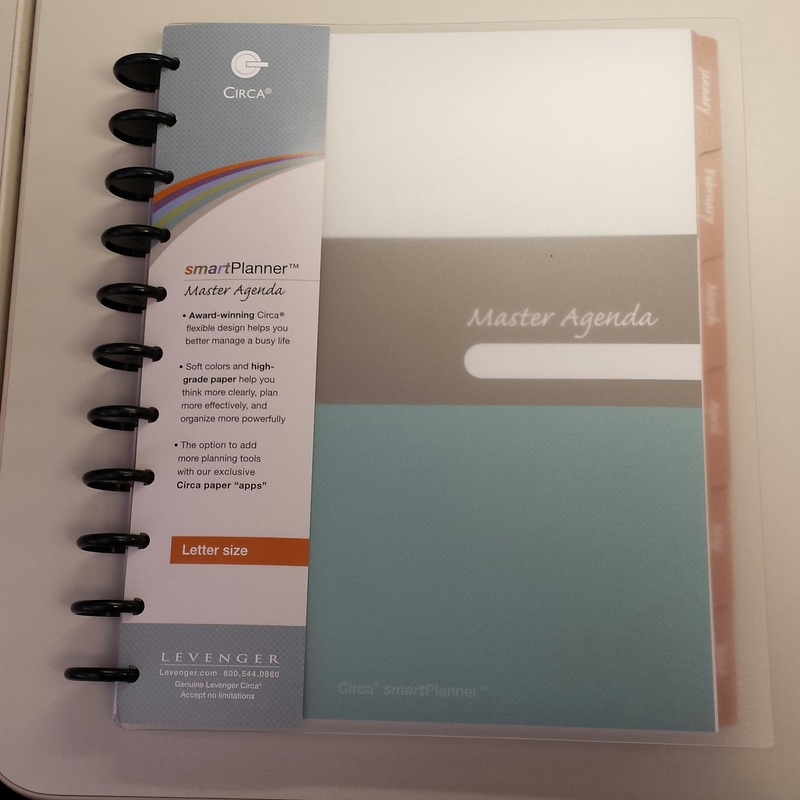 Levenger was also generous enough to send me the SmartPlanner agenda system to review as well. 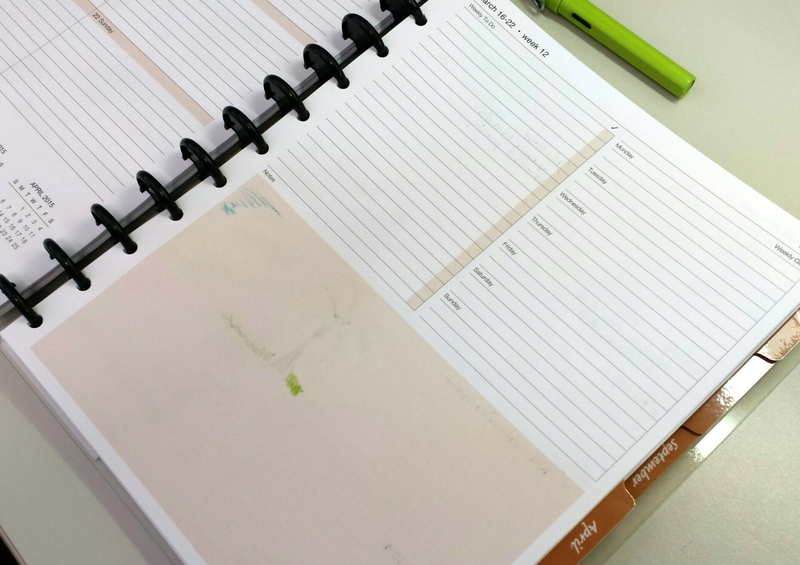 So I started testing out the Levenger SmartPlanner letter-size agenda as my work planner, and thought I’d see if it could woo me away from my own Pretty Pretty Planner printables. 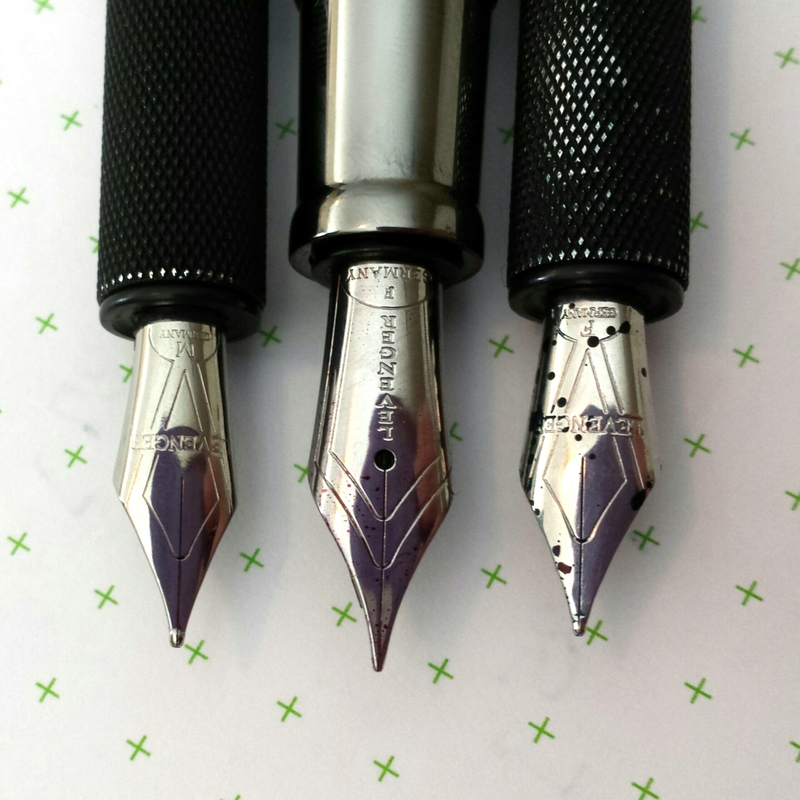 After a few weeks in steady rotation, here are my impressions. 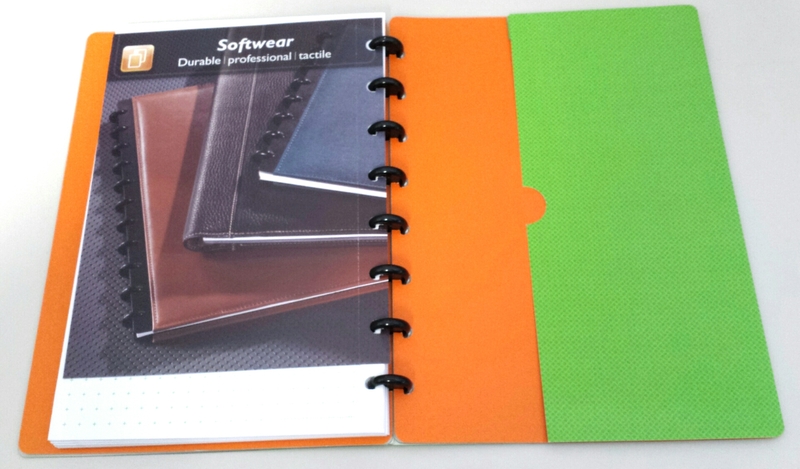 First of all, I really like the color and design of the SmartPlanner. 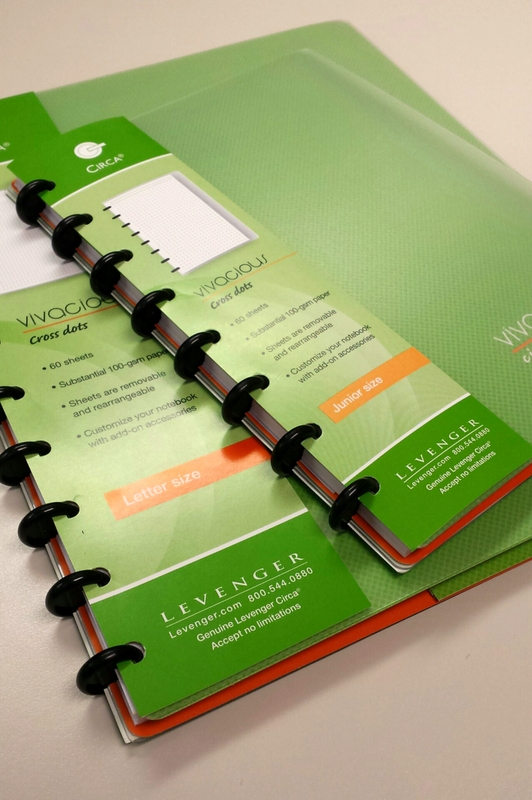 If you’ve followed Levenger’s products for awhile, you know that before the SmartPlanner came out, their planners and refills were all monochromatic and boring. 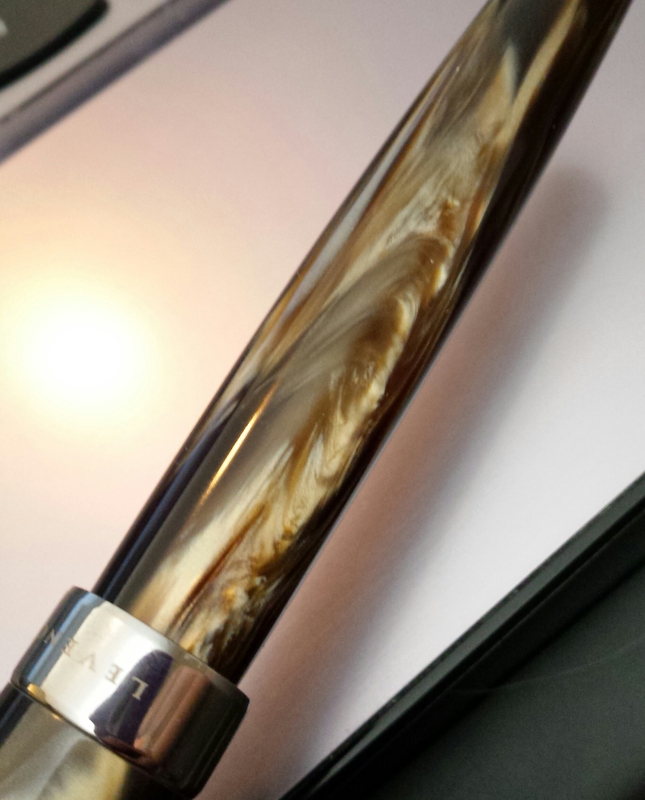 Case in point – this one. And this one. 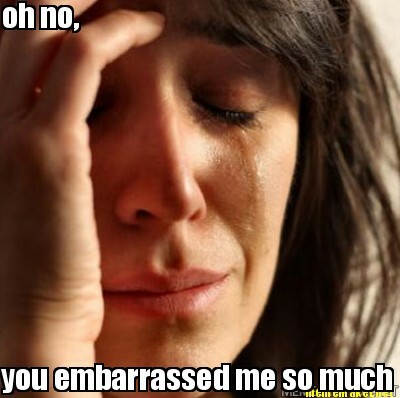 Annnnnd this one. 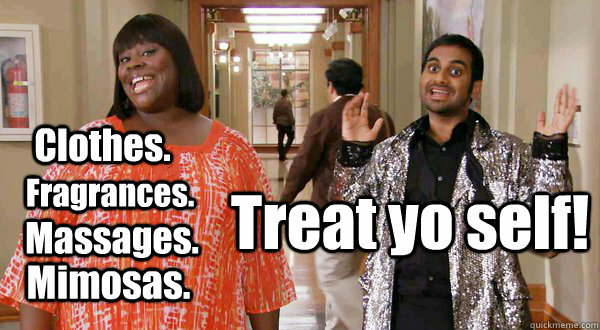 Also, did I mention, this one? 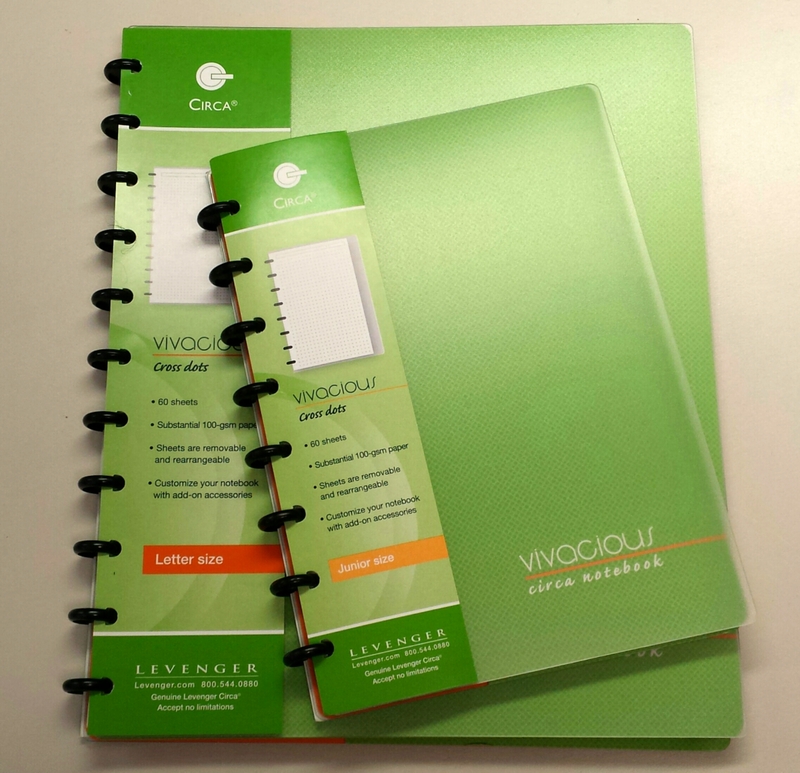 Levenger desperately needed to add some color and style to their planners. 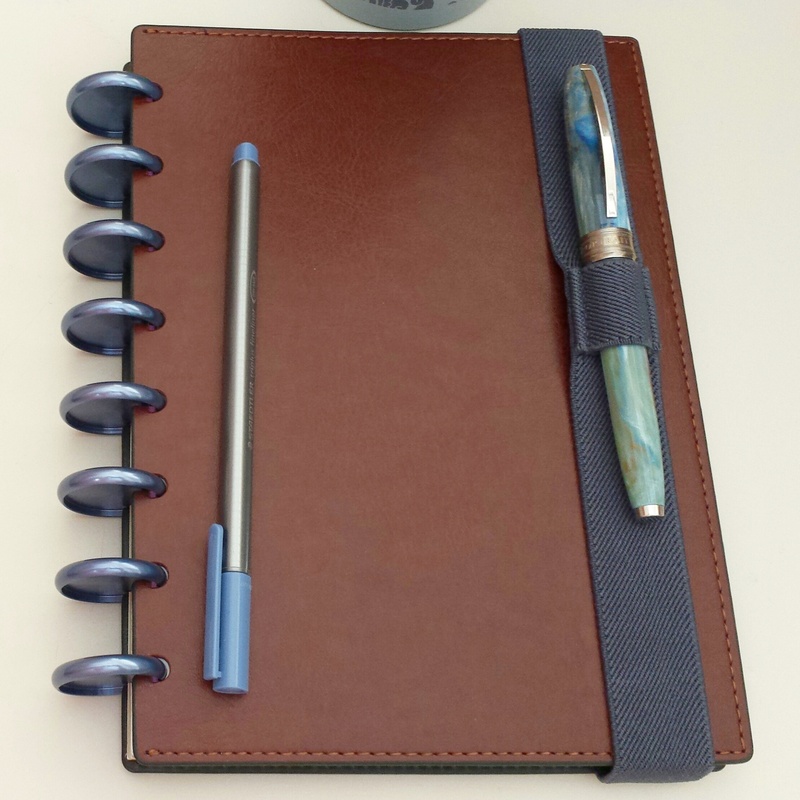 So when I saw the SmartPlanner, I instantly liked the color scheme – soft, muted pastels that meshed perfectly with dividing tabs (also these) and pocket folders that are already staples in the Circa Accessories line. 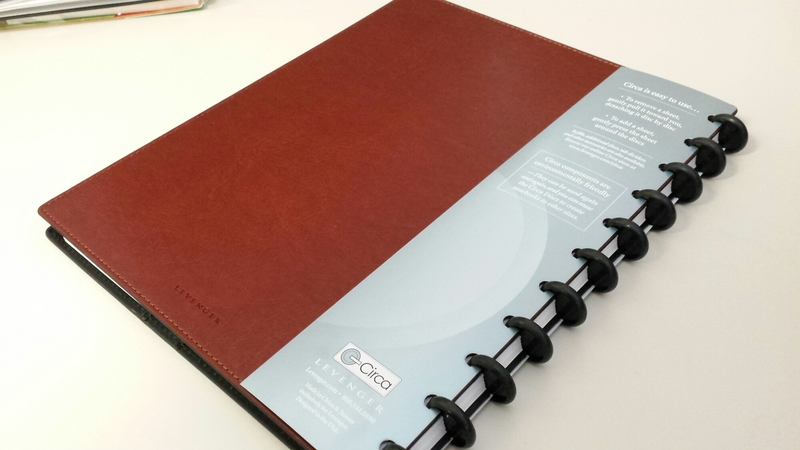 First impressions, the planner is hefty! I expected that given it is letter-sized, but with the larger 1″ discs and all the weekly refills it’s definitely not purse-sized. 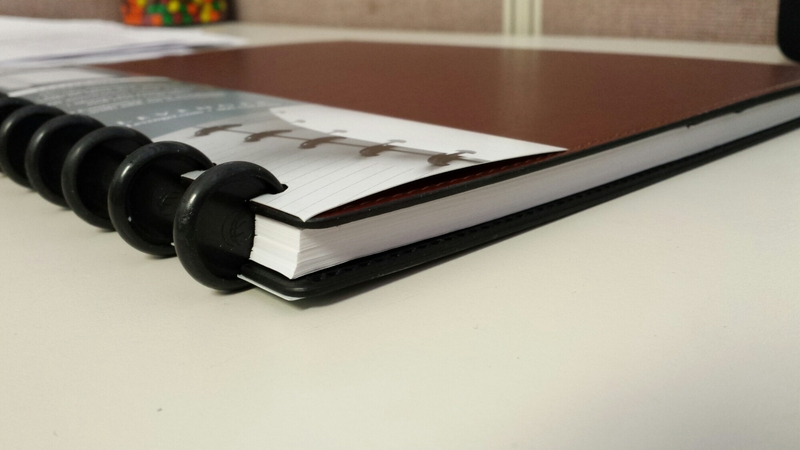 But it’s a great size for a planner that stays on the desk all day. 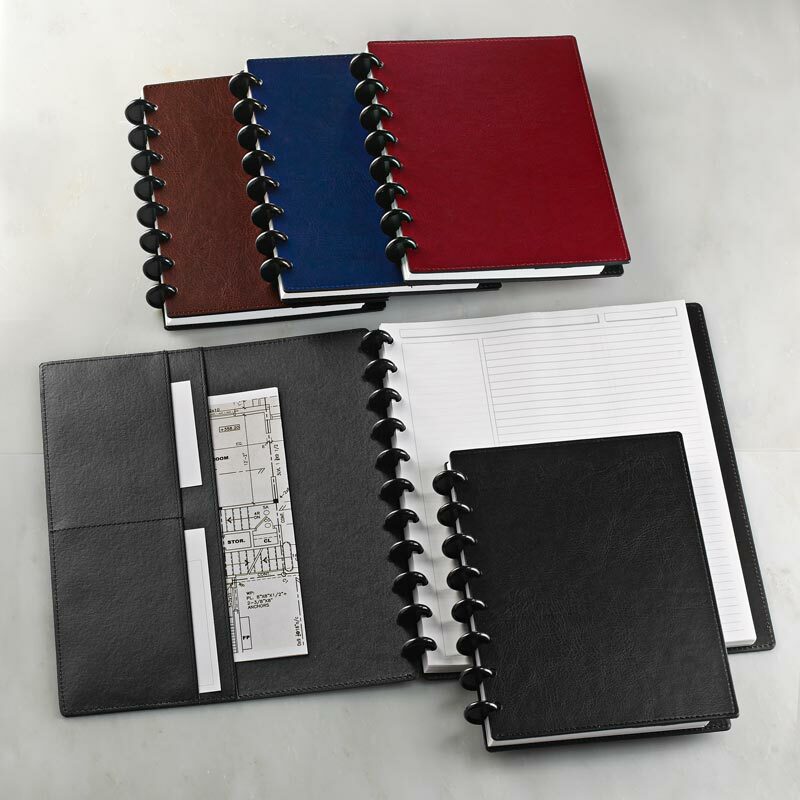 You can get a SmartPlanner assembled with discs and cover, or just the refills separately. 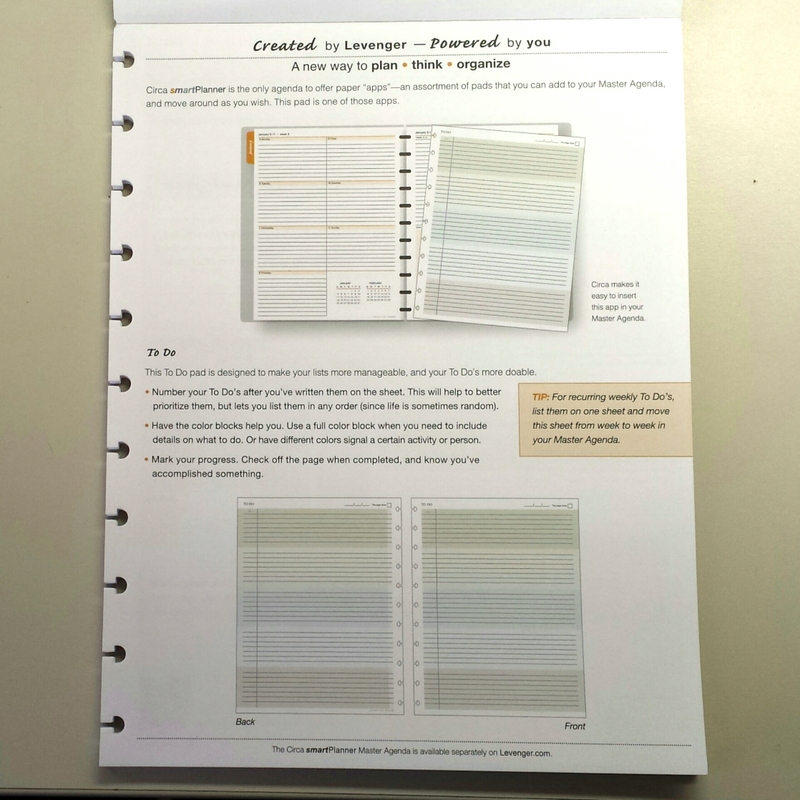 I was sent the assembled SmartPlanner. 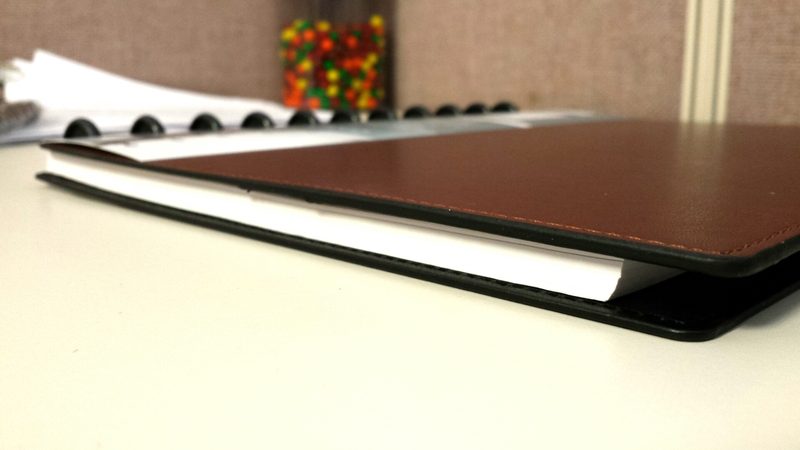 The monthly tabs are a nice copper orange-brown with a scripted white font for the month names. 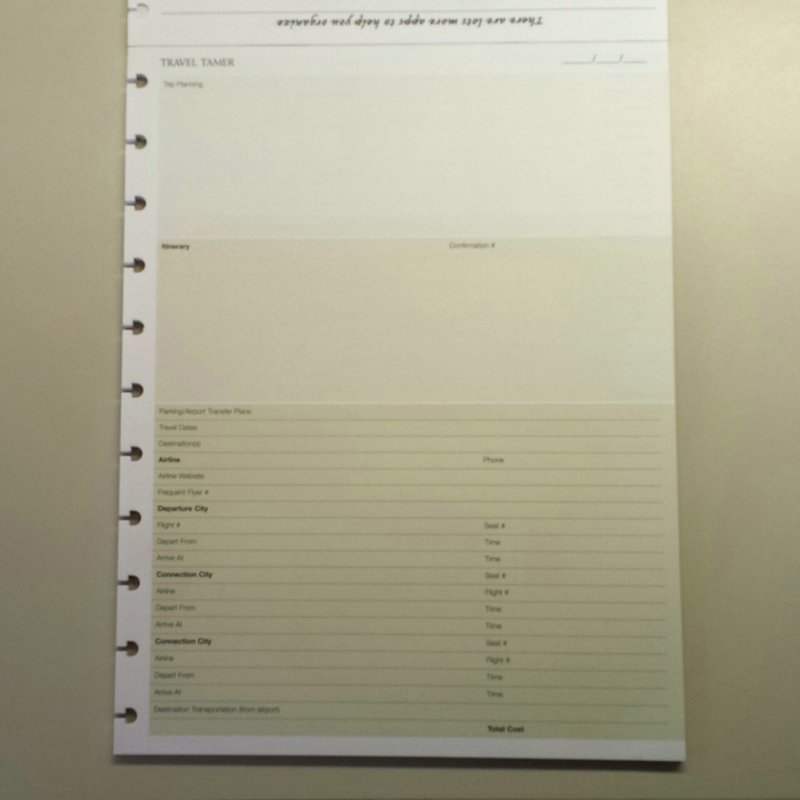 The normal inside coversheet has space for contact information. 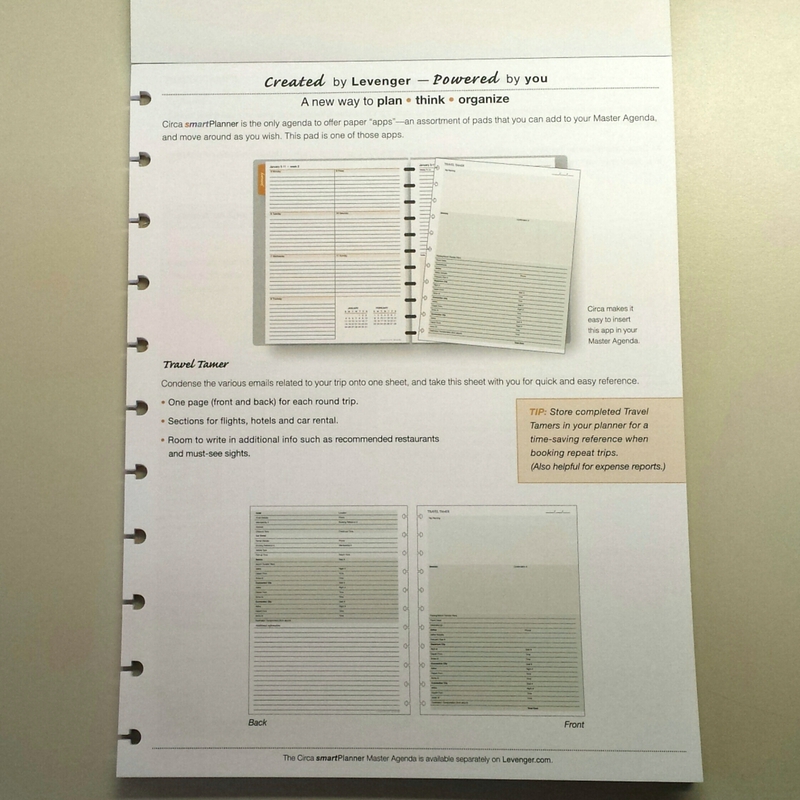 The first couple of pages provide space for personal/reference information, and an introduction to the SmartPlanner system, as well as yearly calendars. 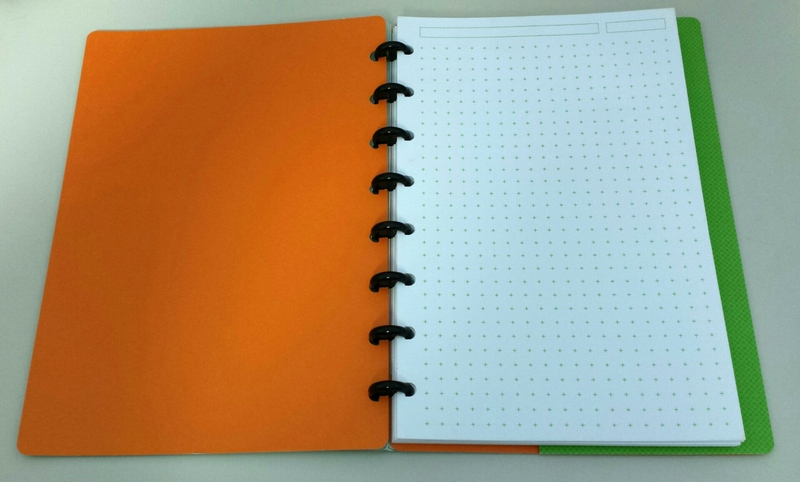 Each monthly tab page has a light orange shaded sheet on the reverse side. 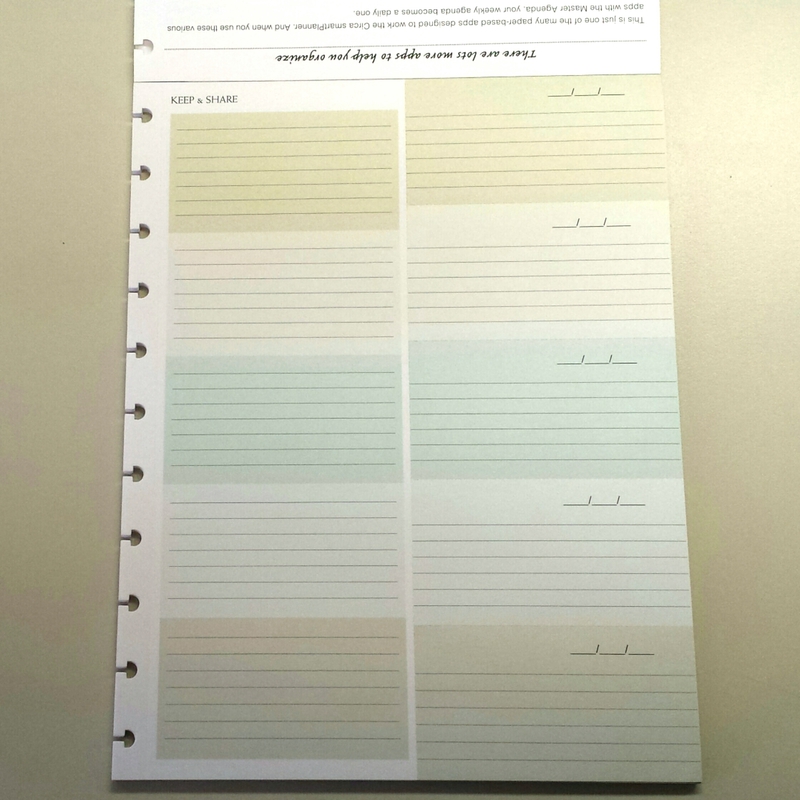 The month-on-two-pages layout is roomy and spacious, with orange shading on the bottom half of each daily box. 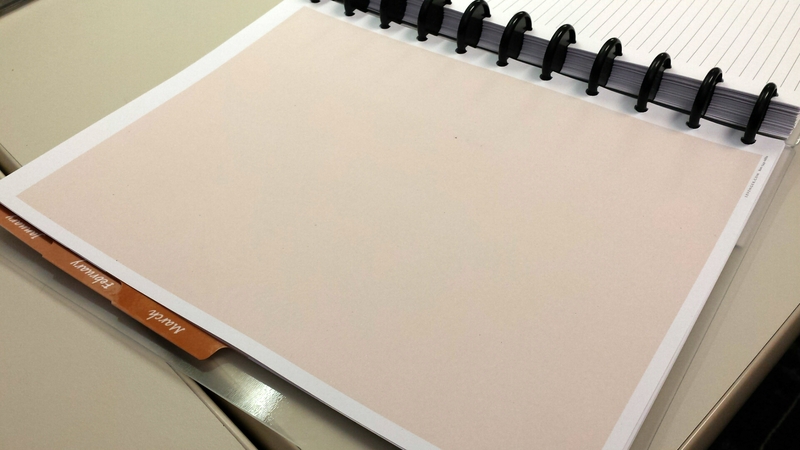 The 100 gsm paper is a hefty weight, and feels thick and substantial to the touch. 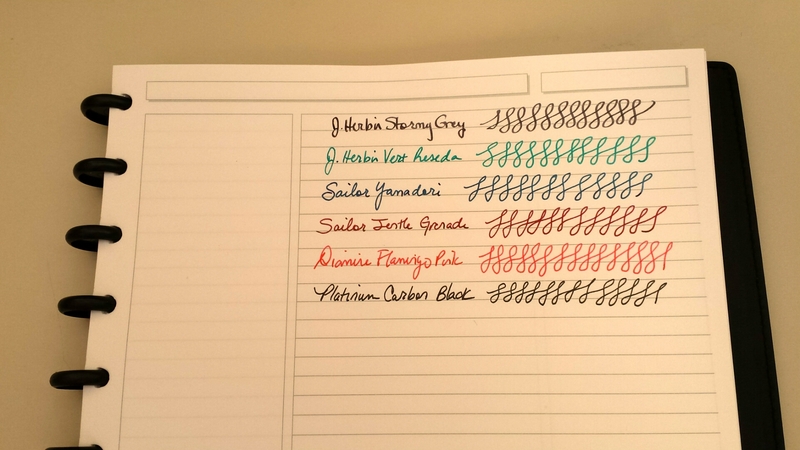 Of course I tested it out with all my inked fountain pens and even some Sharpies and brush pens. 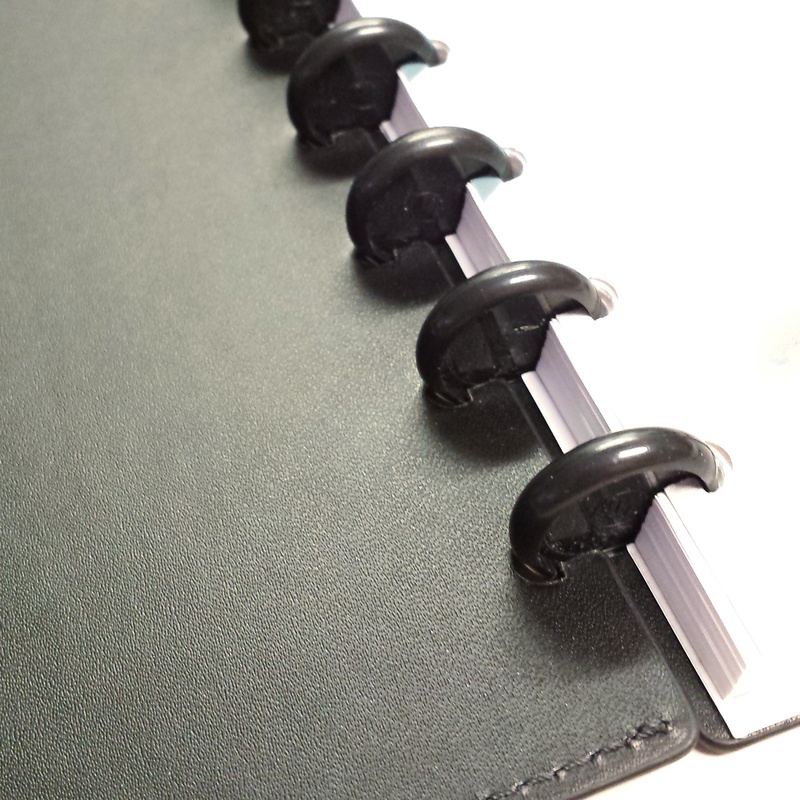 Because of the shading on the back of these tabs there is minimal showthrough. 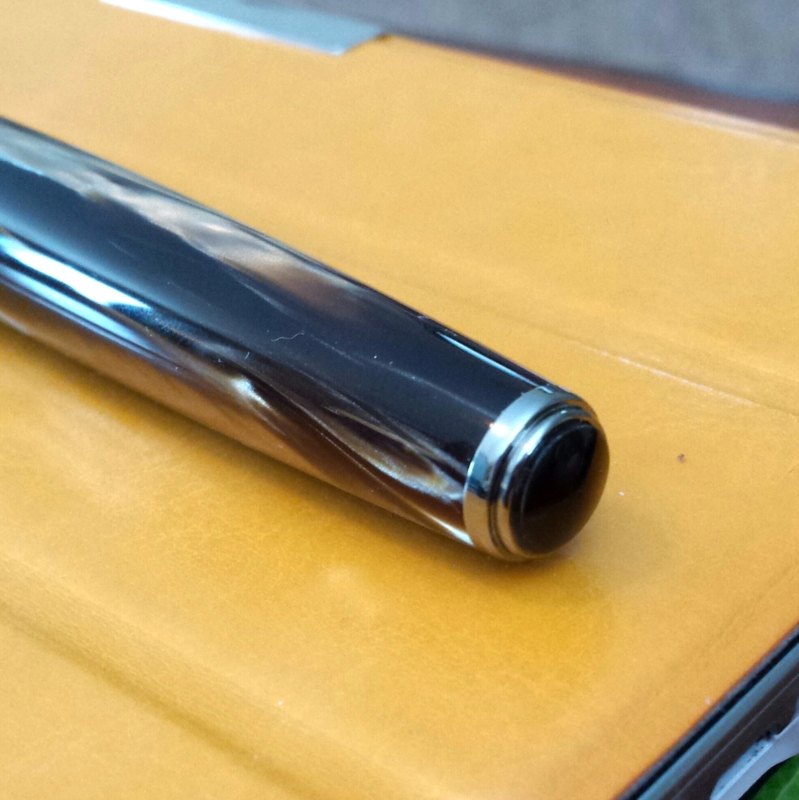 Only with the heavy broad/thick nibbed pens and Sharpies could you see any signs of what was written on the other side. 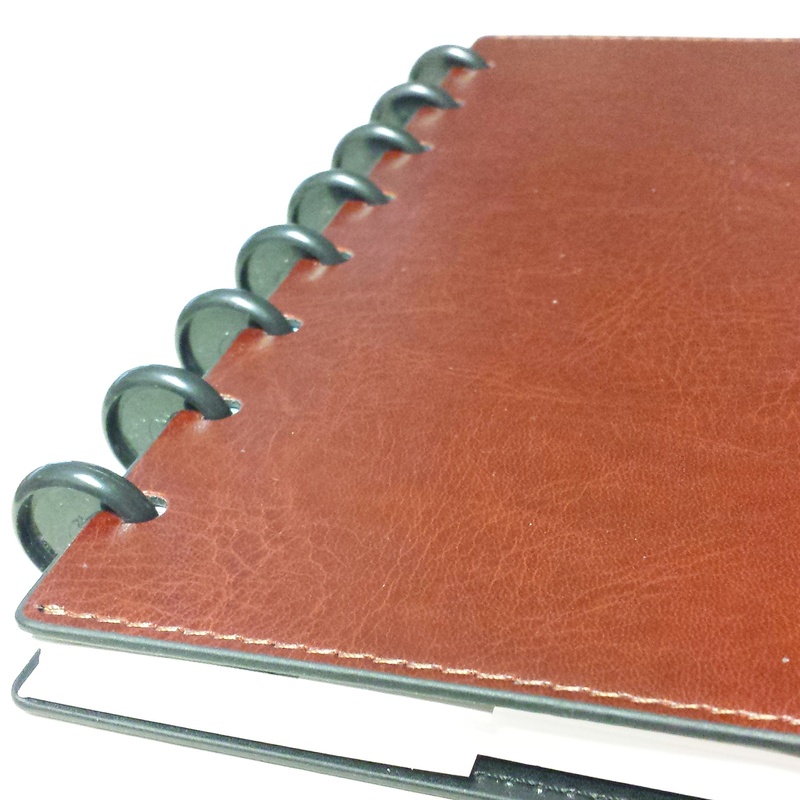 The weekly pages followed each monthly tab set. 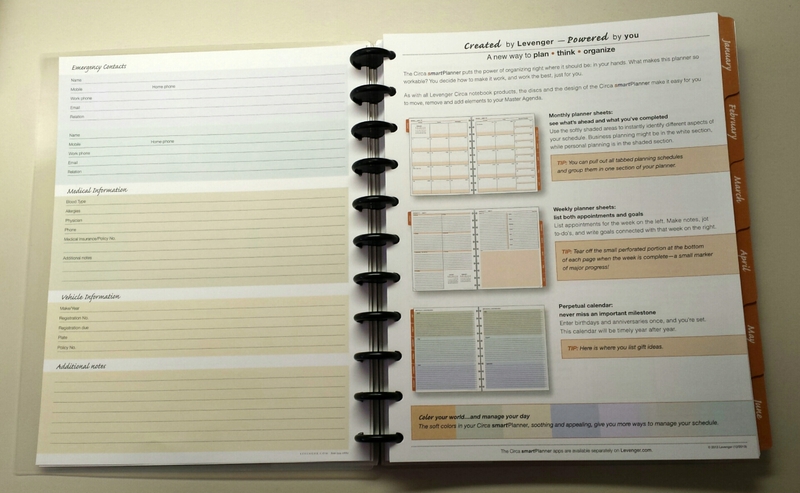 The left side page has boxes for the days of the week, and the right side page has sections for weekly goals, daily todo’s, and notes. 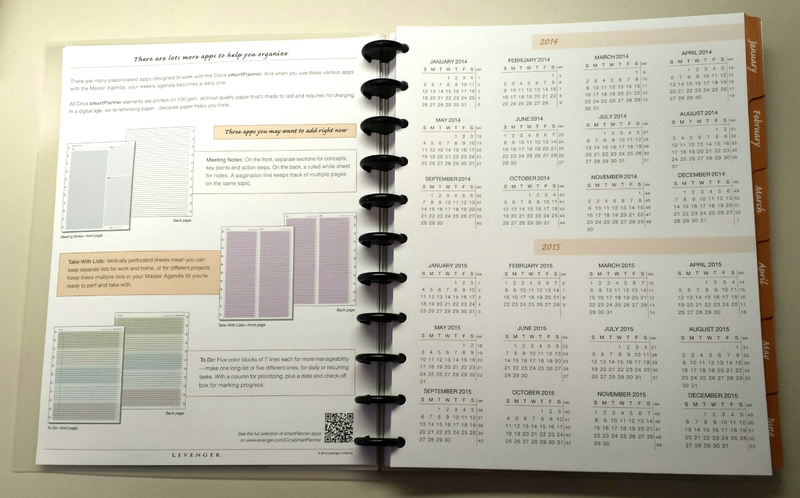 I like the layout in general, although from a data flow perspective would rather have the pages reversed – plan out the weekly goals and todo’s on the first page, and then from there have the daily boxes on the next page. 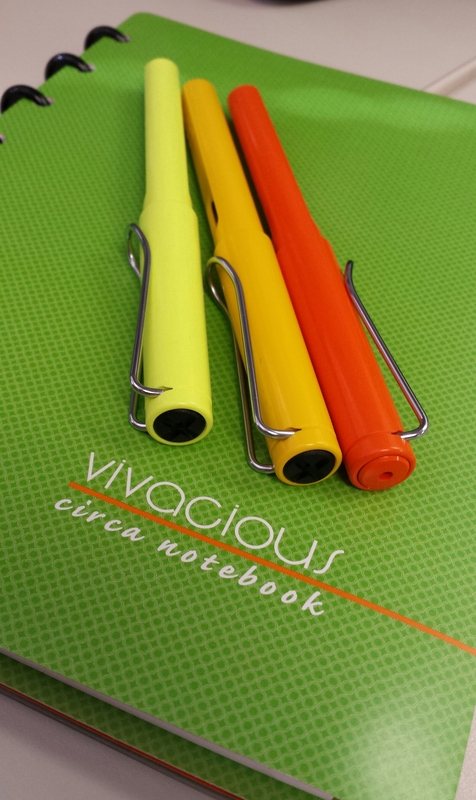 Also, how awesome does my lime green Lamy Safari look with these copper orange colors?? 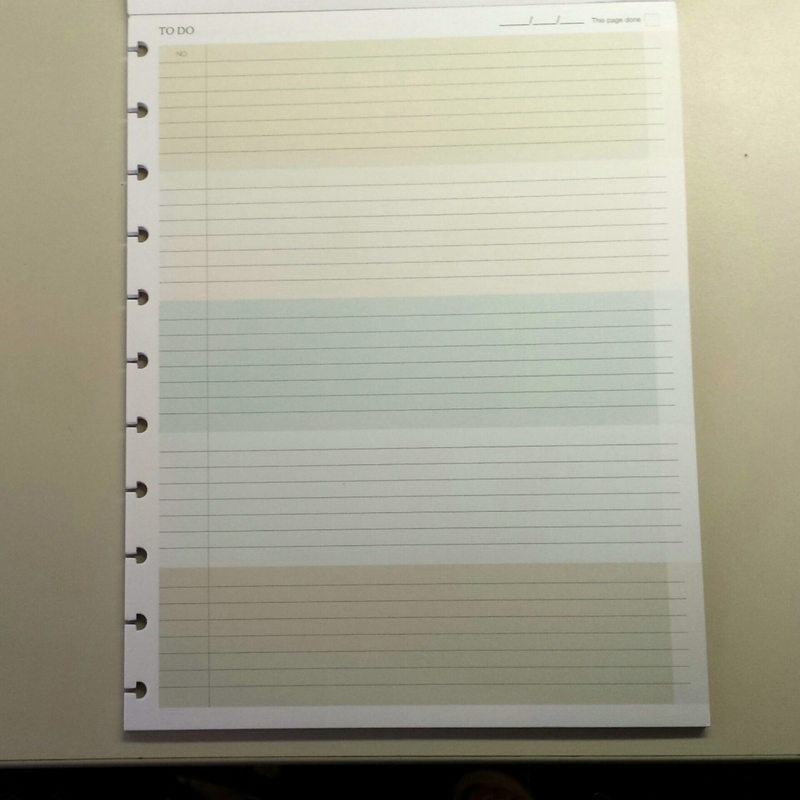 The paper quality, as with the monthly tabs, is actually pretty decent. 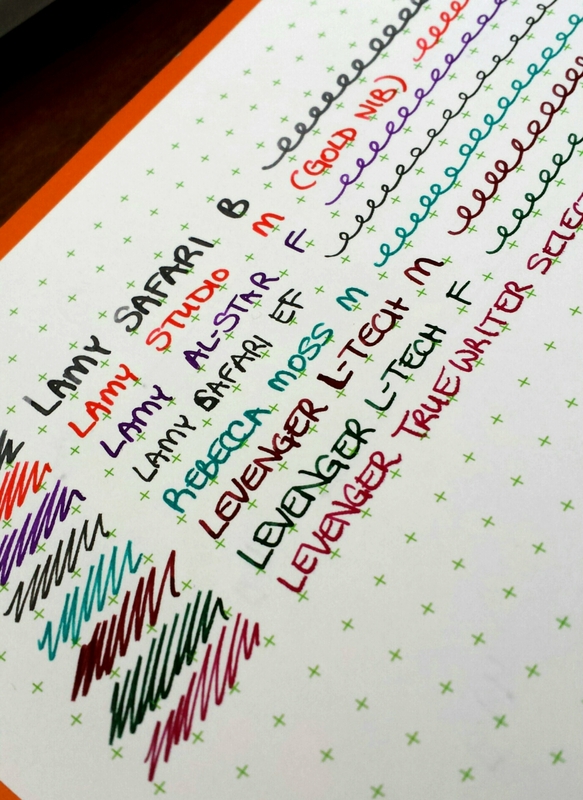 I went at it with fountain pens, markers, Sharpies, even a WATERBRUSH (the palm tree sketch). 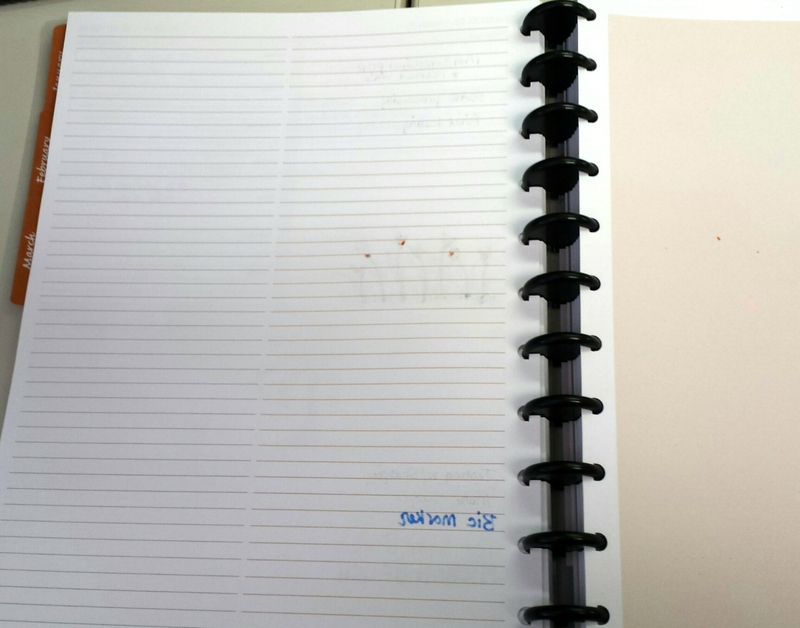 The waterbrush caused some bleedthrough as was expected – the paper wasn’t quite THAT hardy. 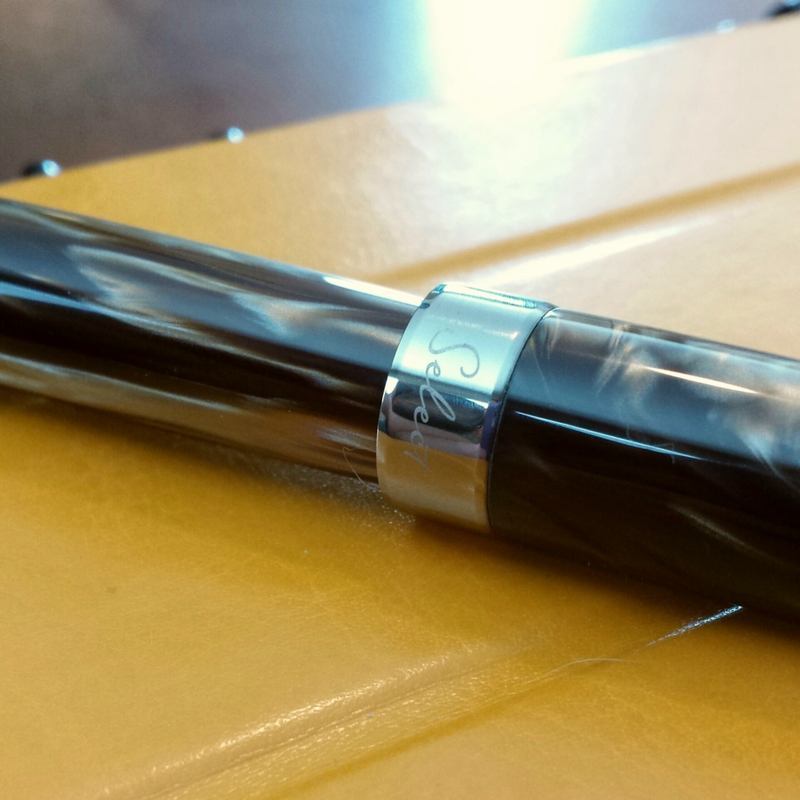 But the rest of the fountain pen writing didn’t have much showthrough. 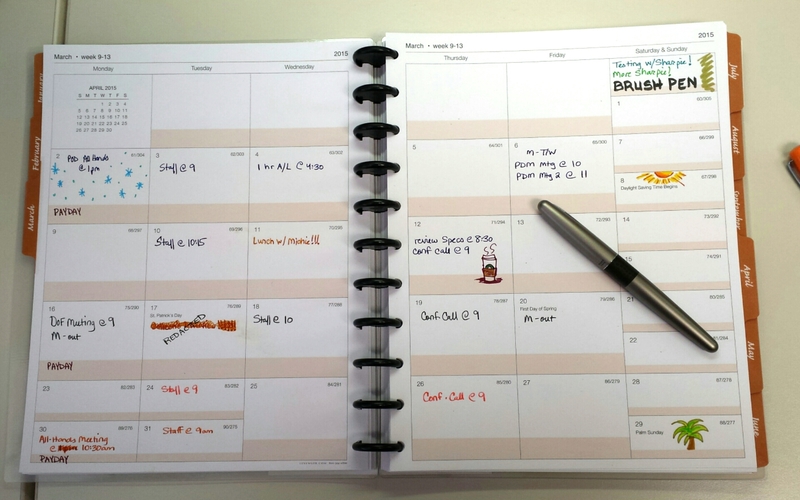 Here is the reverse side of the left side of the weekly layout above. 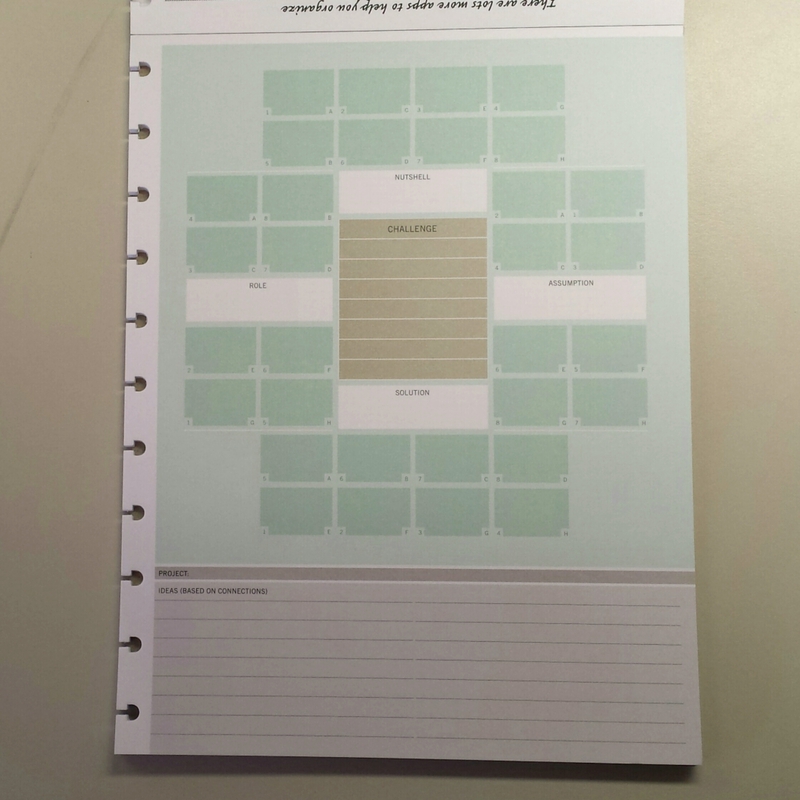 And the reverse side of the right side of the weekly layout above. 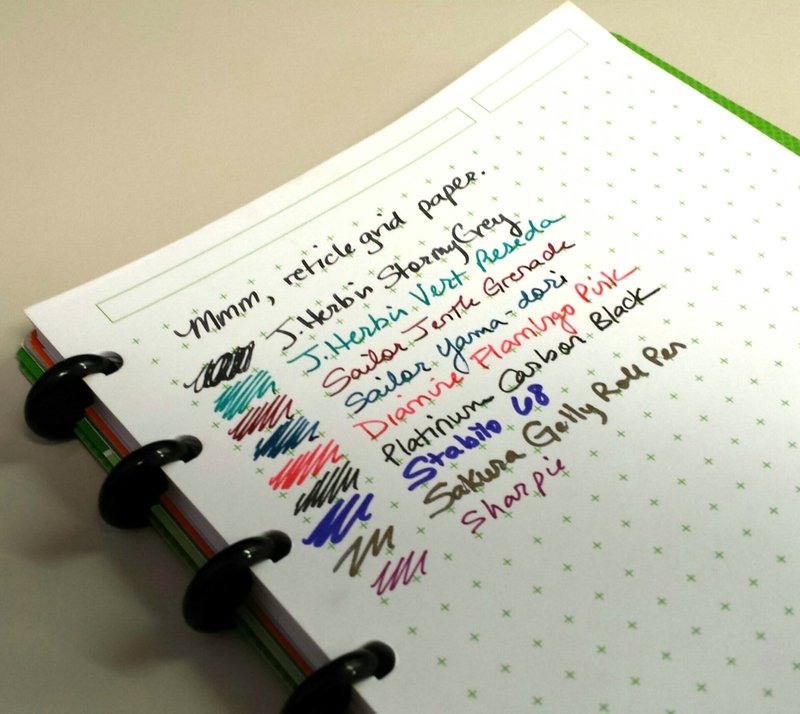 The markers have some spots of bleedthrough, with the worst offender being the Bic Permanent Marker. So, here’s the metaphorical fly in the ointment for me. 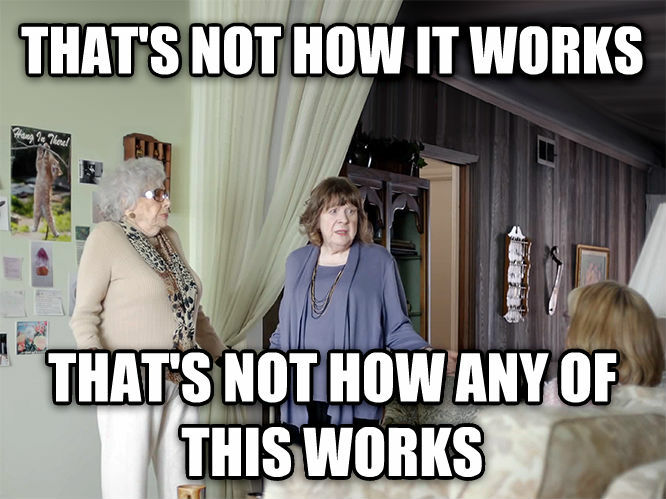 When I introduce the system to others. 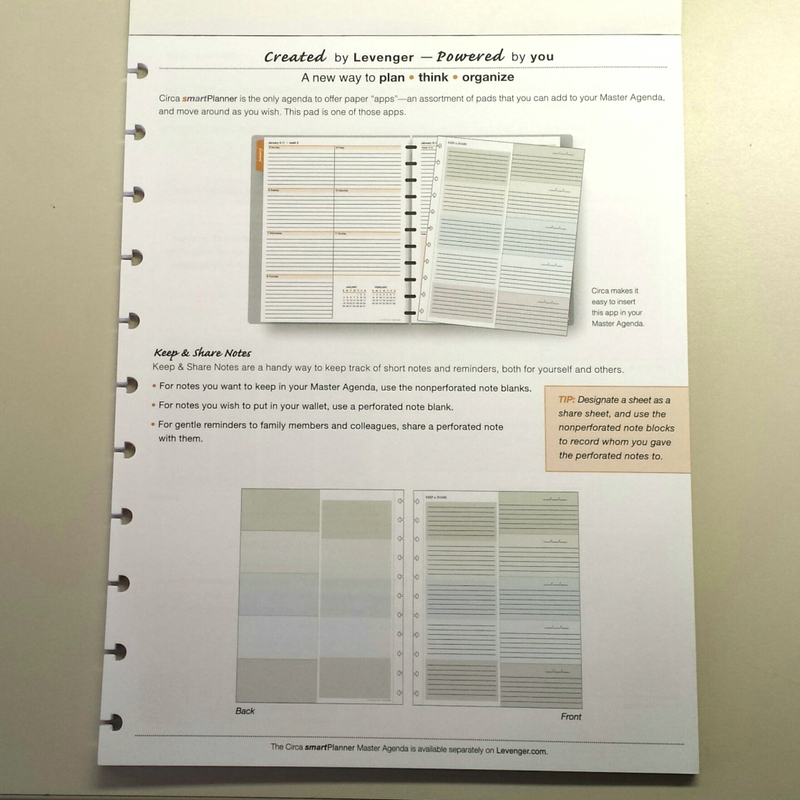 I can praise the monthly and weekly layout, the colors, the style – but then I always get asked, “But, what are these APP things?” So I have to awkwardly explain that the “Apps” are complementary add-on activity sheets you can get to supplement the SmartPlanner, such as to-do lists, meeting notes, etc. Just … REALLY? 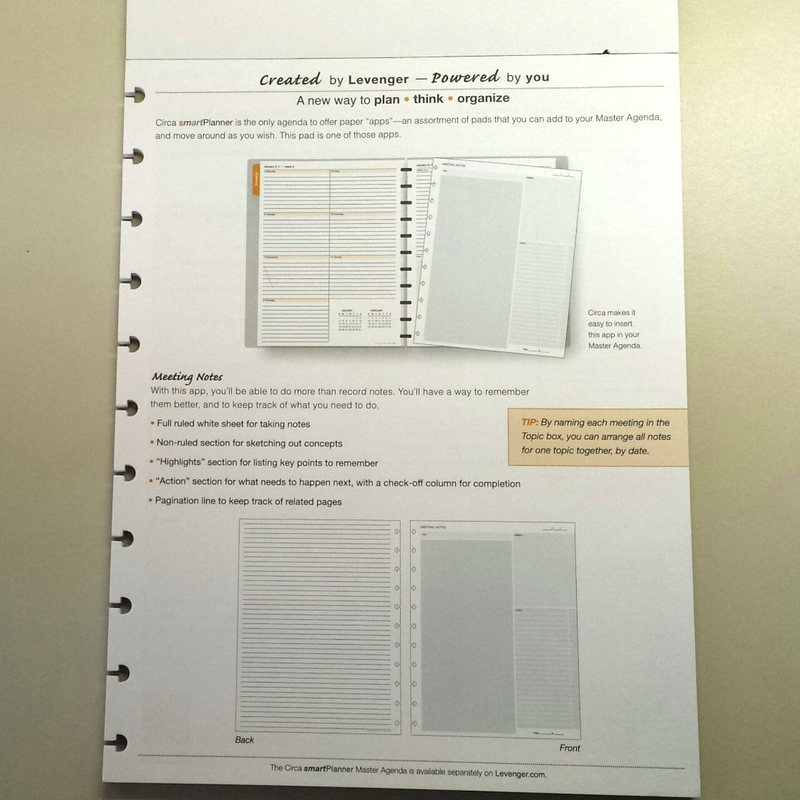 I’m sorry – I love you guys, but you just can’t name add-ons “apps” – it’s a PAPER PLANNER, that’s not how this works! 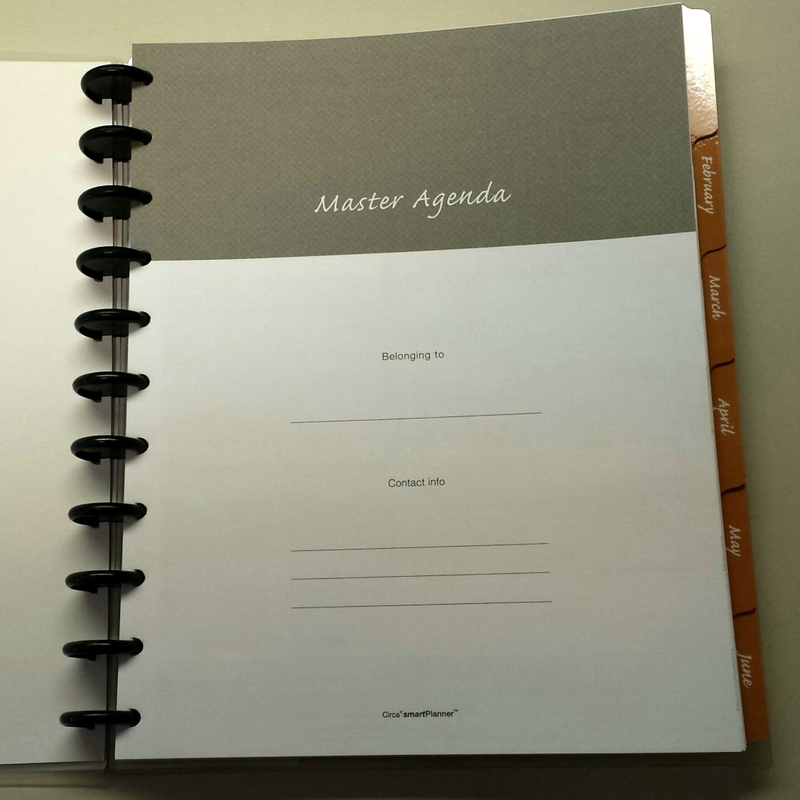 That all being said, I got over my issue with the name quickly enough, mostly because the SmartPlanner Apps are just as nicely designed and colorful and coordinated as the main SmartPlanner. 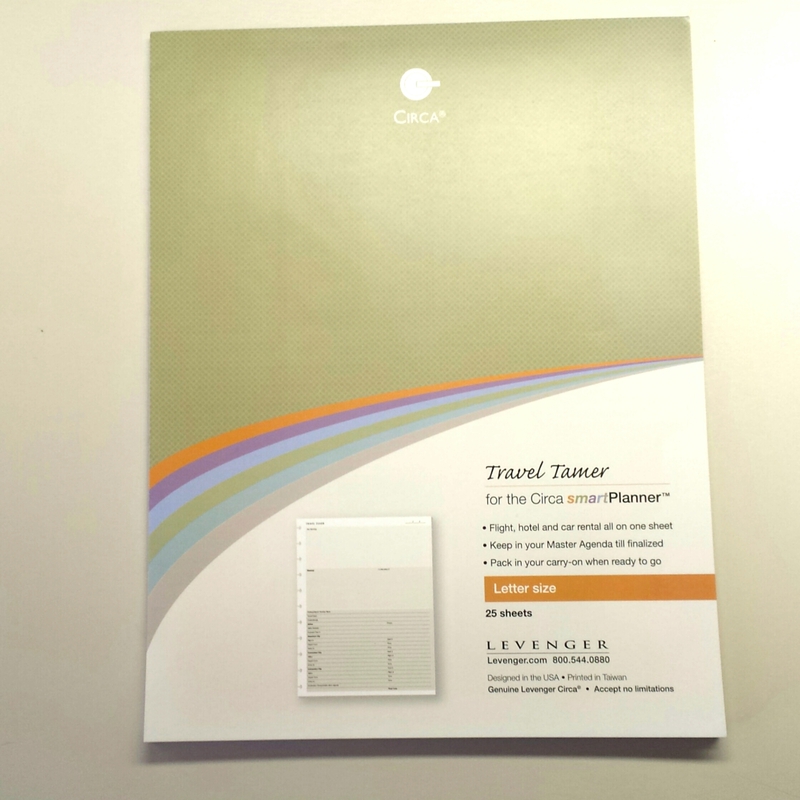 Along with the SmartPlanner Levenger also sent me the LTG 7-App Sampler Pack. 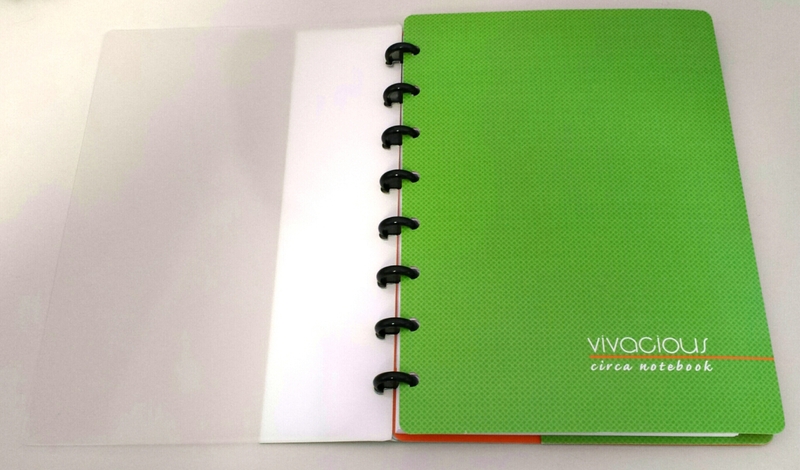 Each “app” pad has 25 sheets and is made with 100gsm paper. 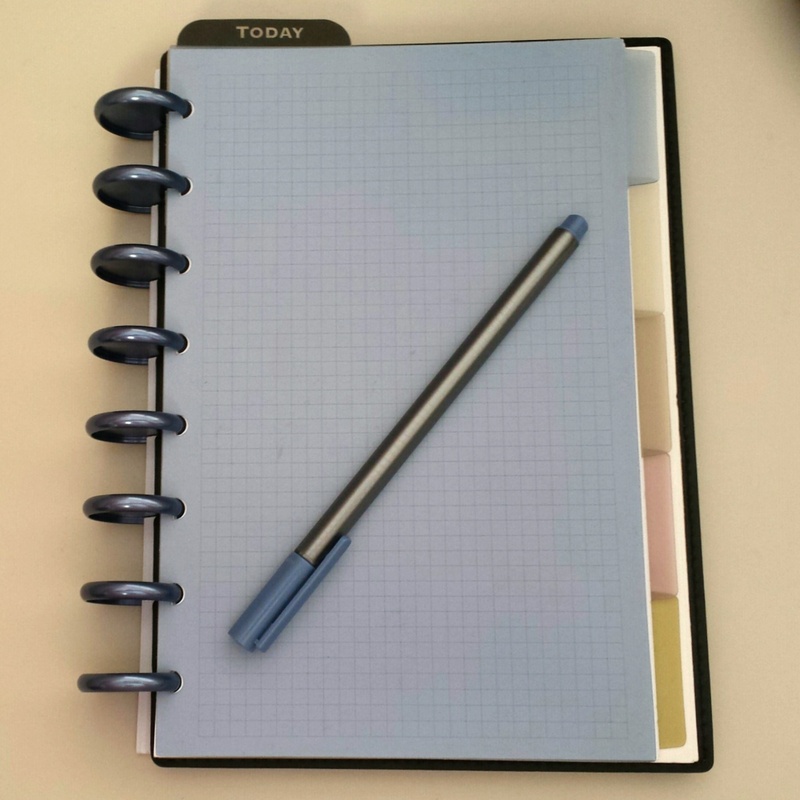 The “LTG 7-App Pack” is named so because it contains three LIST “apps” (To-Do, Take-With Lists, and Keep & Share Notes), one TASK “app” (Meeting Notes), and three GO “apps” (Travel Tamer, Ideation Station, and Doodler). I myself didn’t have an immediate work use for all of these apps right now, but took lots of pics to show them in their full-size glory. 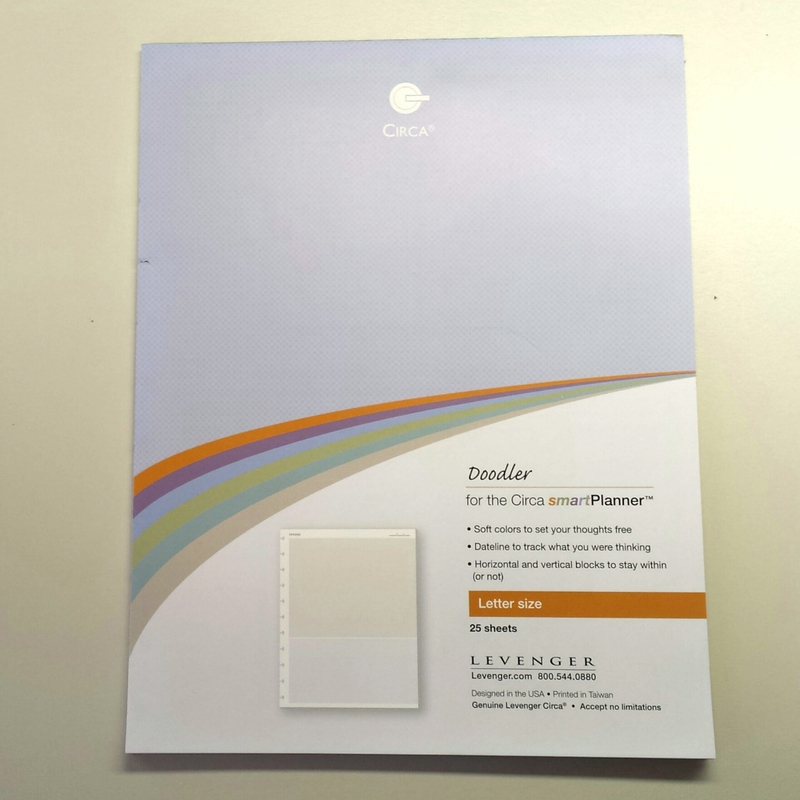 From the Levenger website: “A delegator’s dream: give the perf’d side of the color block (5 per sheet) to the doer, and keep a record of your directions on the other. 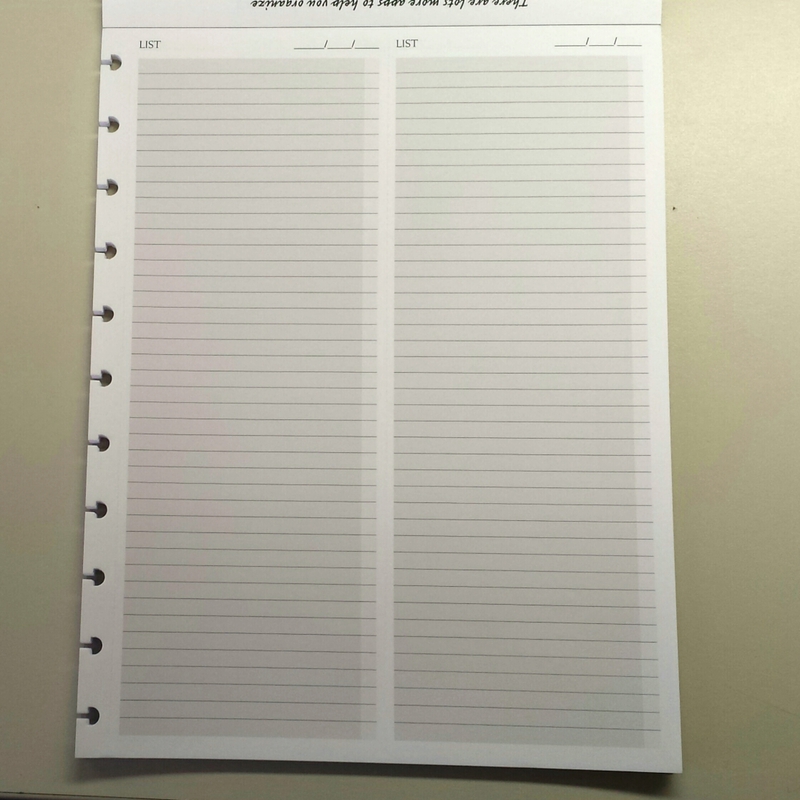 Or make it the traffic manager for items you lend, with a note to whom and when on the Keep side and a gentle reminder about returning on the Share side. 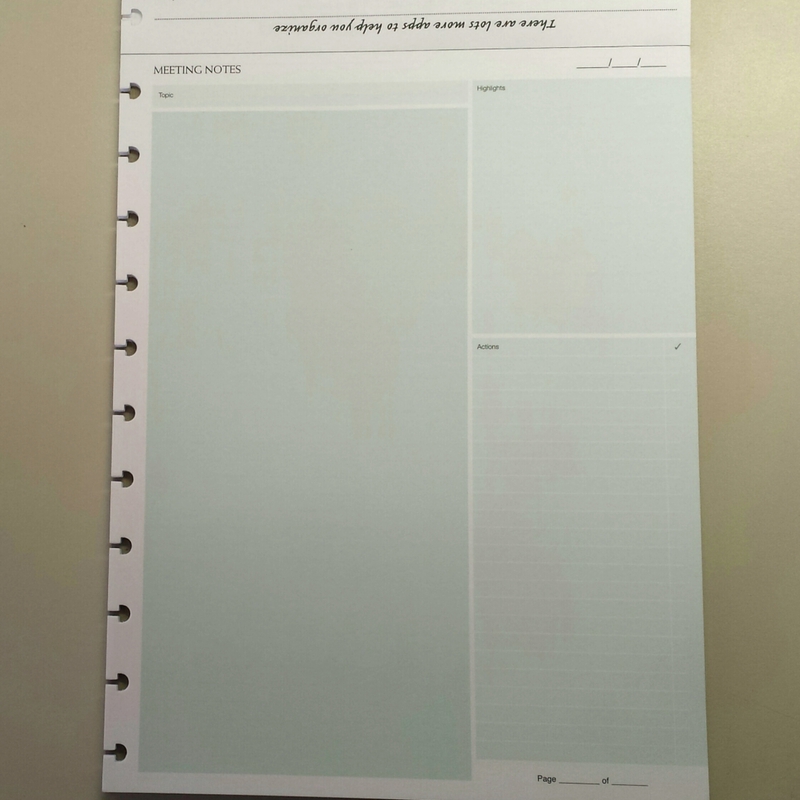 You can also use the two sides independently, jotting flashes of inspiration on the Keep sheets and making notes to yourself on the Share sheets. (Place them where they’re most likely to jog your memory.) 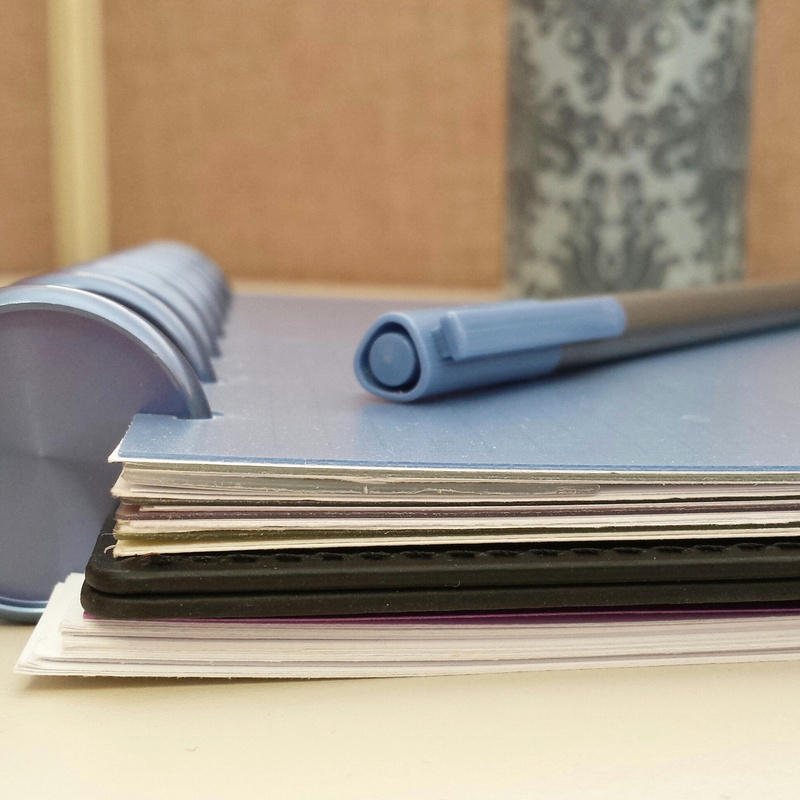 Let this app do the work for your memory, which you can put to better use. 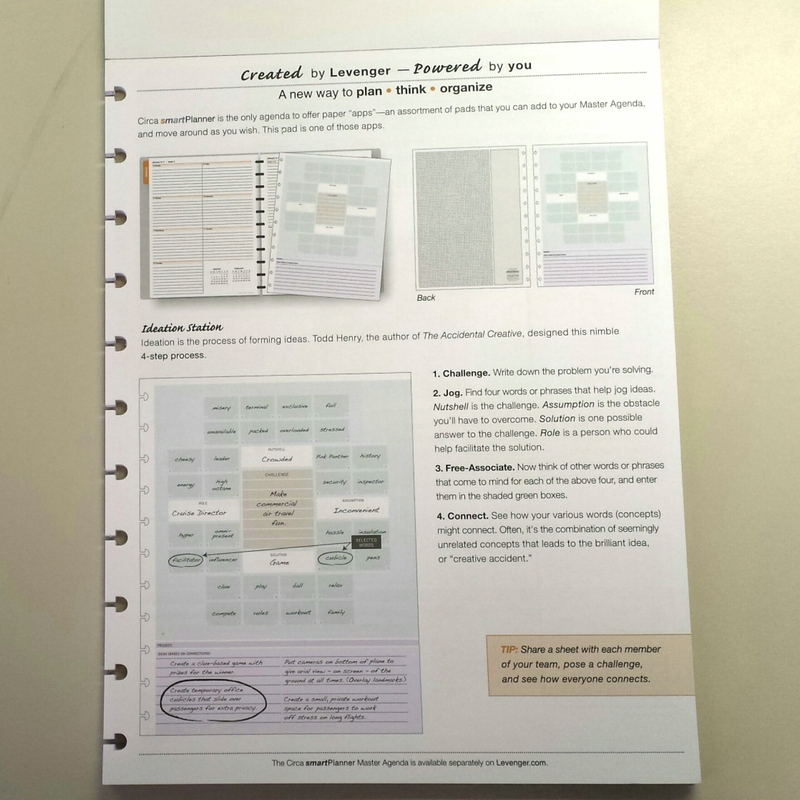 From the Levenger website: “Find a creative solution to a problem using different words to connect concepts. 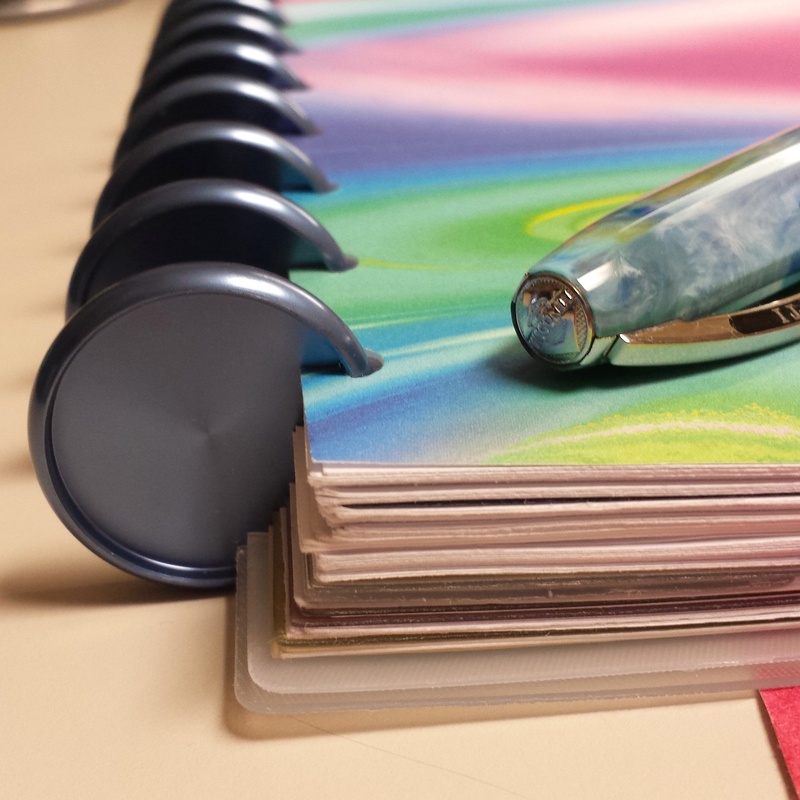 The Ideation Station app adapts the effective method that Todd Henry, the author of The Accidental Creative, has designed for starting with a challenge and ending up with possible—and often surprising—solutions. 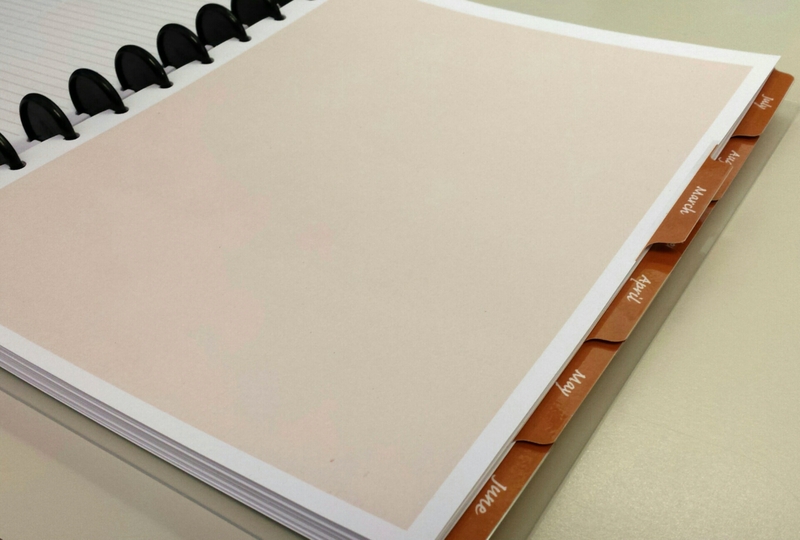 You can do all this on one sheet of paper (take some with you on the plane). 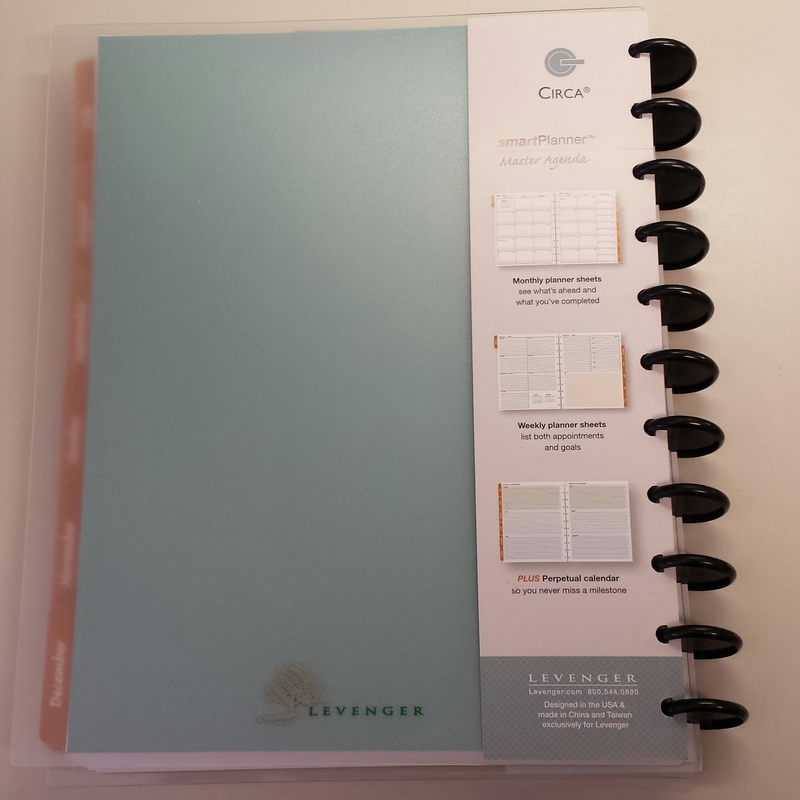 I really enjoyed testing out the Levenger SmartPlanner Agenda – many thanks to Levenger for the opportunity to see if it’d work for my work Circa. 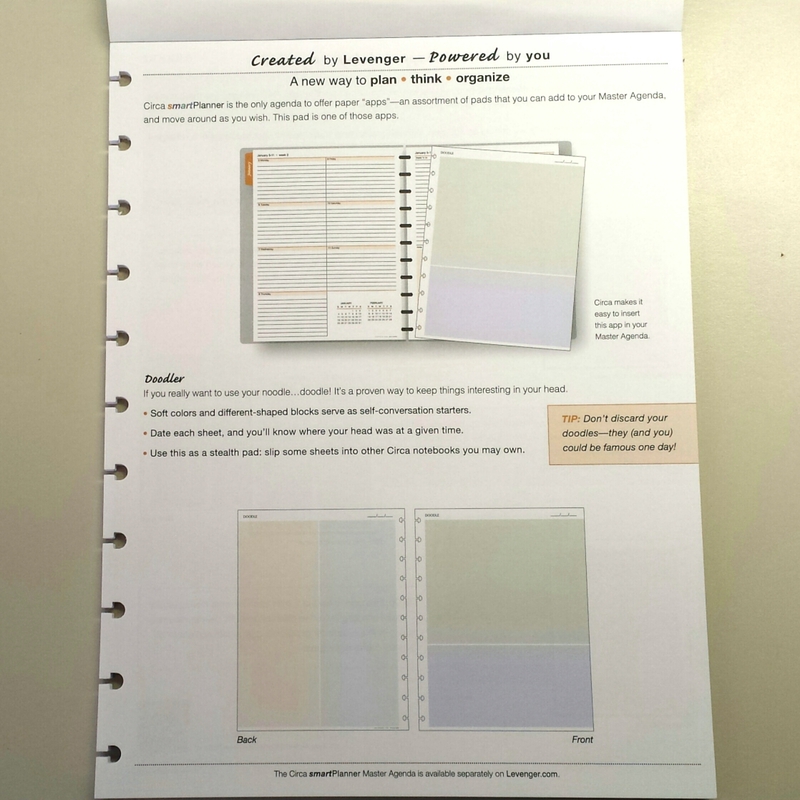 I became a fan of the overall look and style of the SmartPlanner – the soft colors, the tabs, everything looks fantastic! 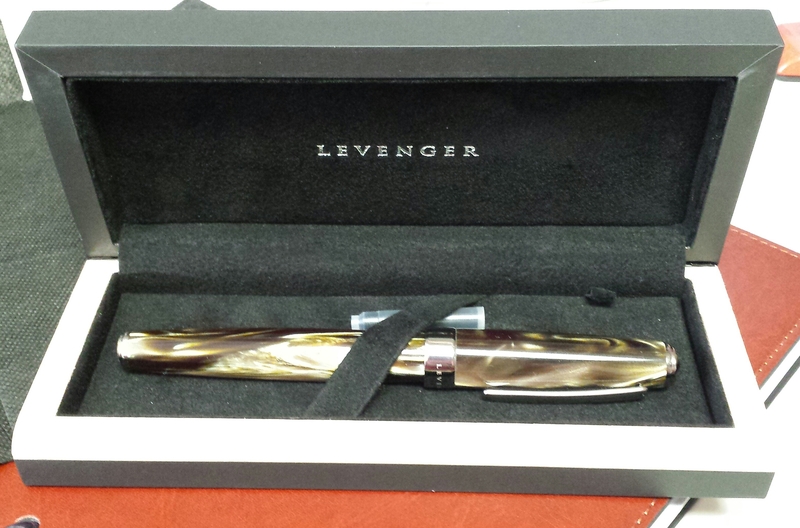 And overall the agenda, like everything Levenger, screams high quality. 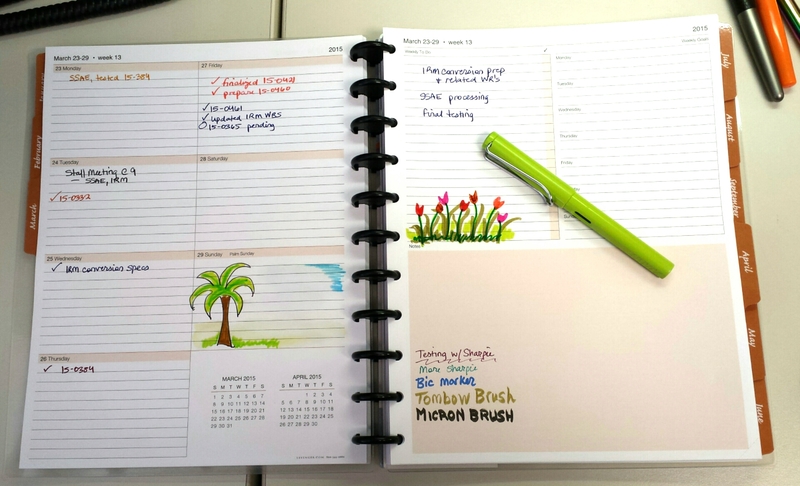 That all being said, since I was testing this planner out for my work Circa, the horizontal weekly layout just wasn’t fitting my needs. 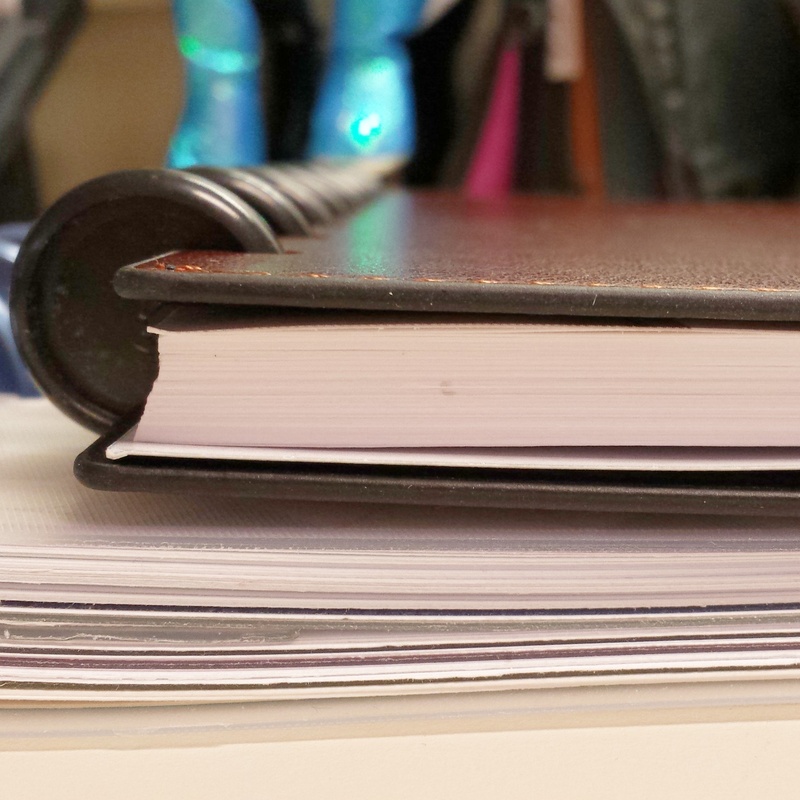 In my job, I do a lot of database testing, and keep track of my time on various projects by the hour. 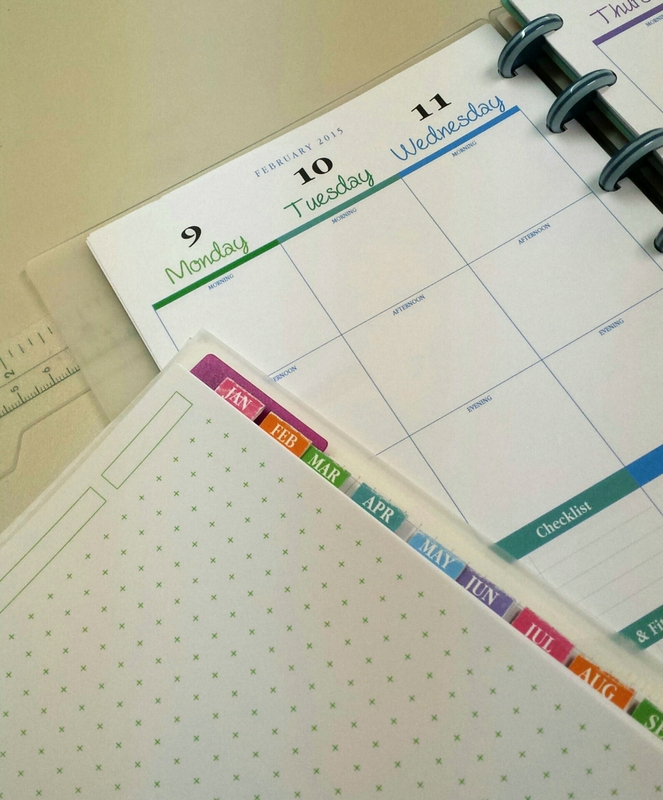 So while I don’t have many pre-scheduled appointments, a vertical weekly planner layout serves my needs much better than the horizontal daily boxes of the SmartPlanner. 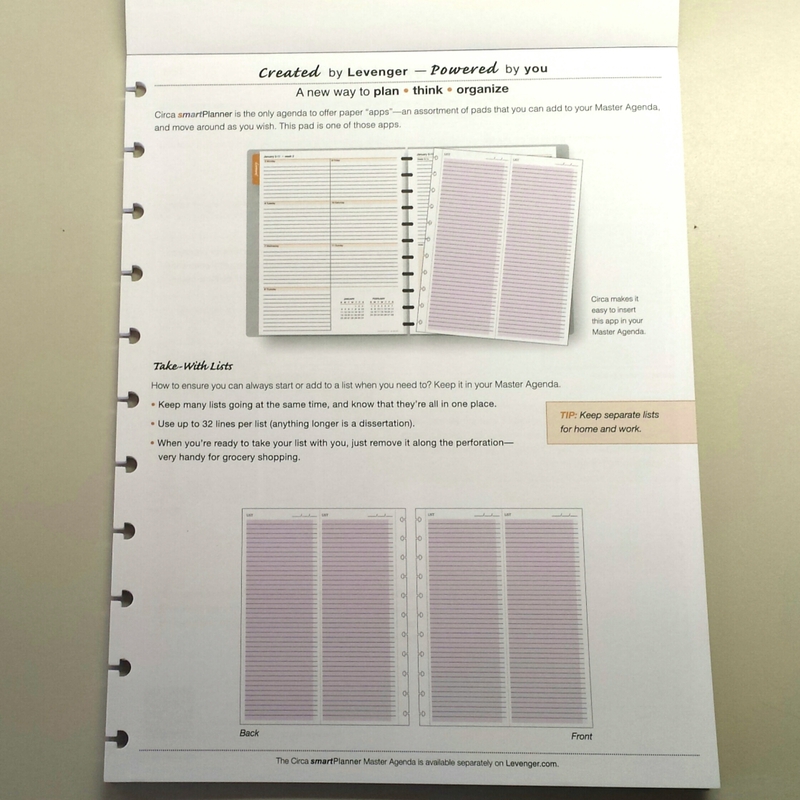 So I’ve passed it on to my husband who is really excited to give it a shot for his work planning needs. 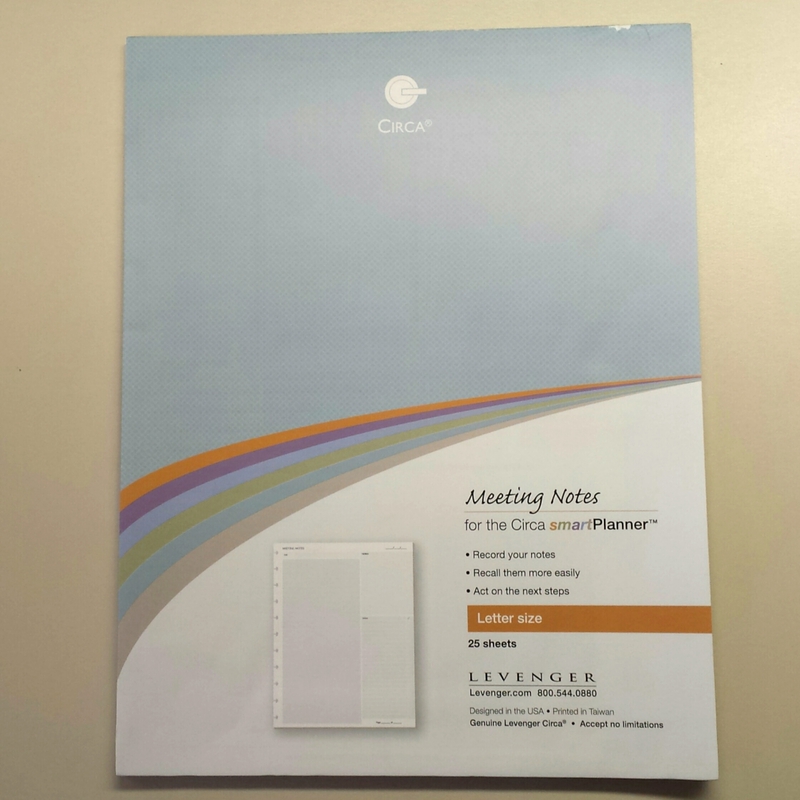 I really hope that in the future, Levenger expands its layout to incorporate other formats – I’d love to see a vertical layout in the same SmartPlanner style. 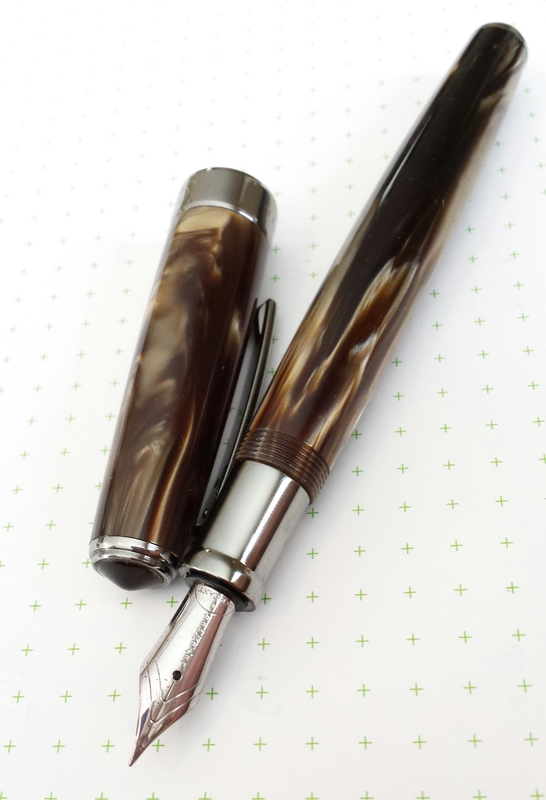 Awhile ago I posted about the Junior-Size Levenger Circa Smooth Sliver notebook I bought from eBay and how much I enjoyed it. 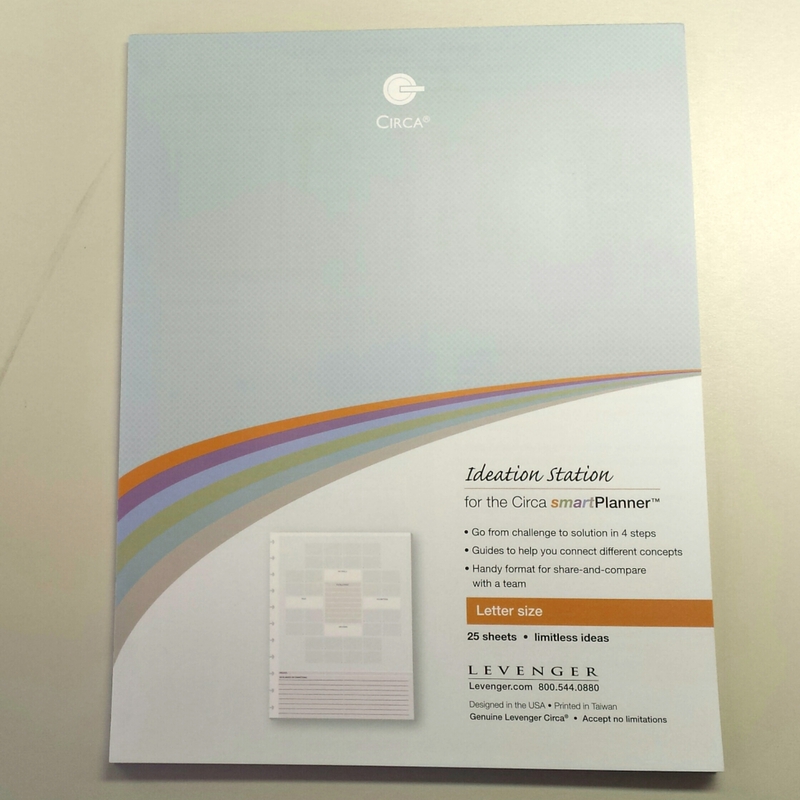 I liked it so much in fact, when Levenger had a sale recently I had to grab a letter-size notebook for my work planner. 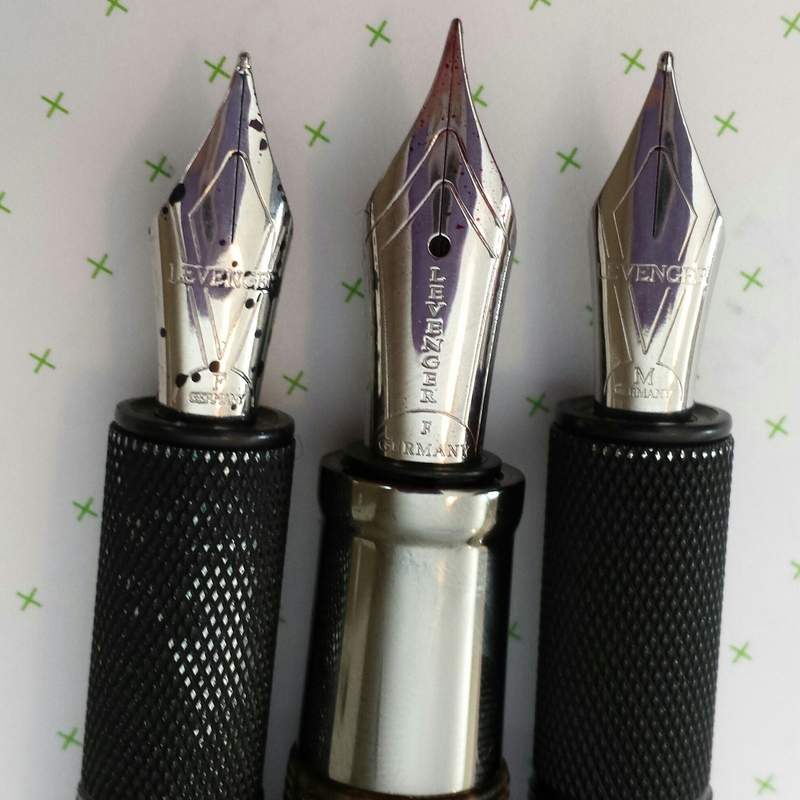 The letter-size version of the Levenger Circa Sliver Cover with Pockets is just as great as its smaller version, and now I have a matching pair! 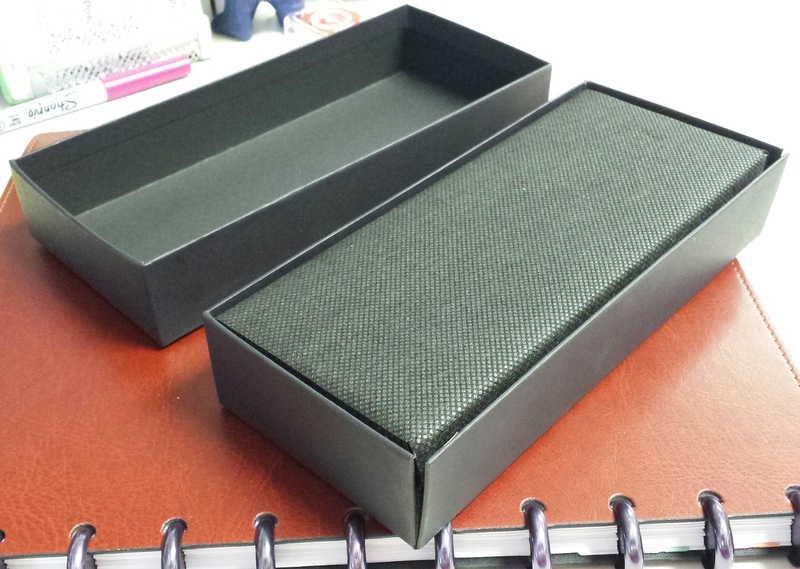 Here are the unboxing pics! 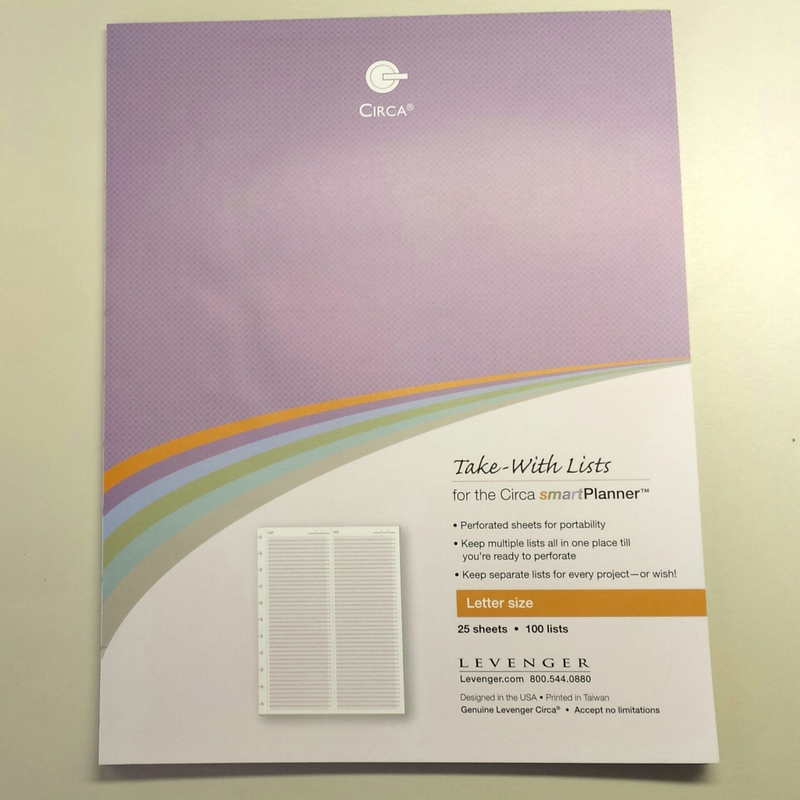 First of all, I was surprised to see that Levenger wasn’t shipping the notebook in their usual boxes with cloth covers anymore. 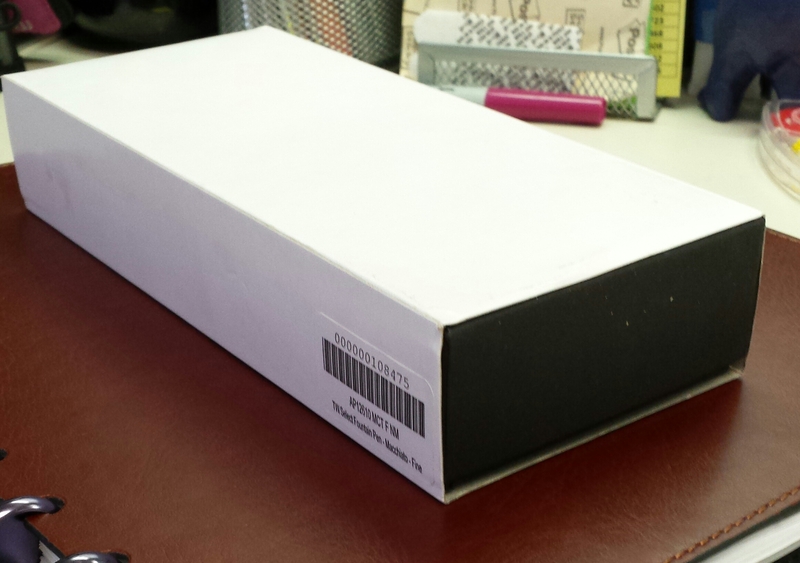 All the other notebooks I’ve bought from them have come packaged that way, but instead, it was shipped in a plastic shrinkwrapped bag. 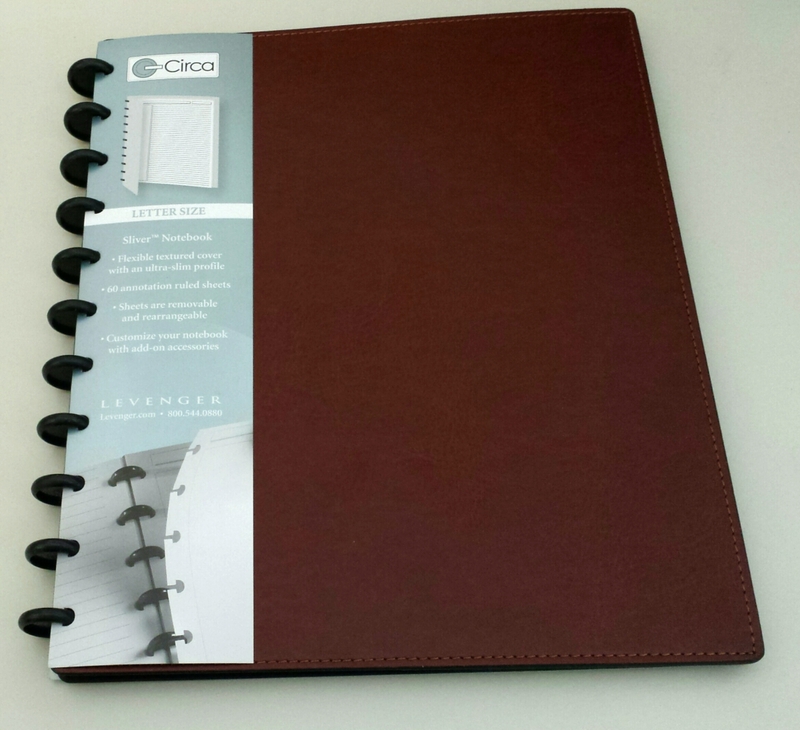 Once unwrapped, I was able to see this luscious Cocoa colored notebook. 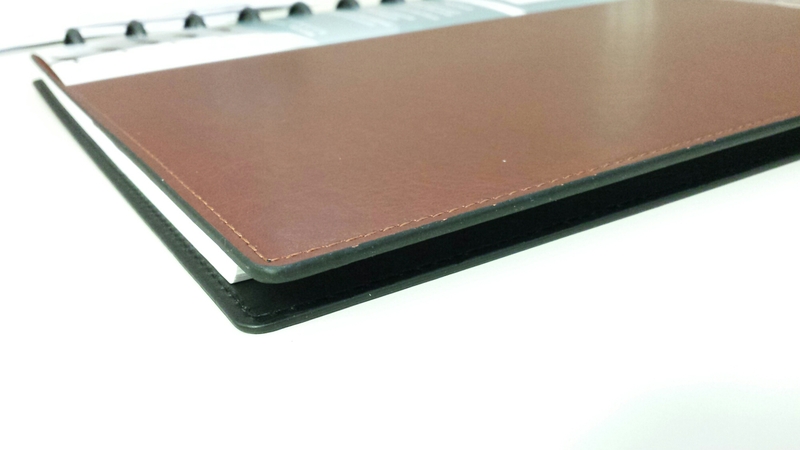 The most important benefit this notebook cover offers is how incredibly thin and light it is! It takes up virtually no room on the discs compared to other covers.. 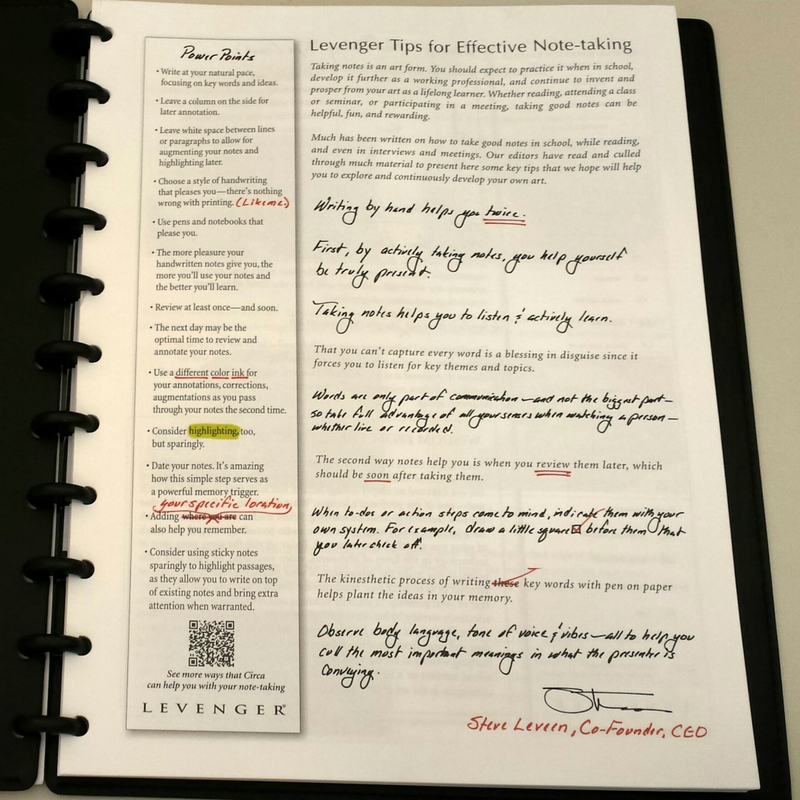 I was also really impressed to see a new informational sheet on the inside of the notebook – titled “Levenger Tips for Effective Note-taking”. 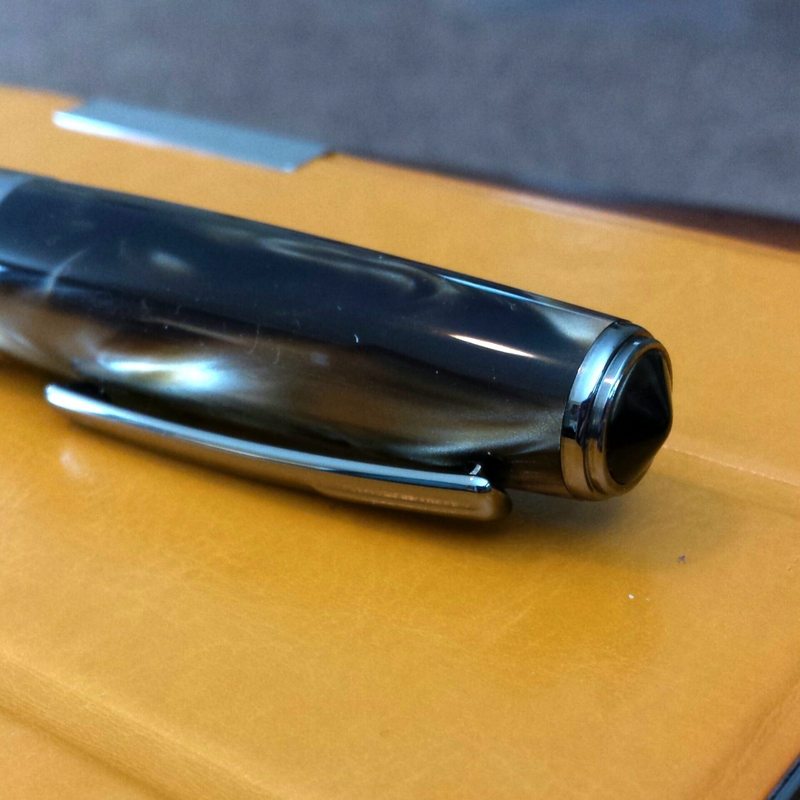 Yes, it’s a lot of tips I’ve heard before, but I still thought it was kind of cool to see the handwriting and tips. 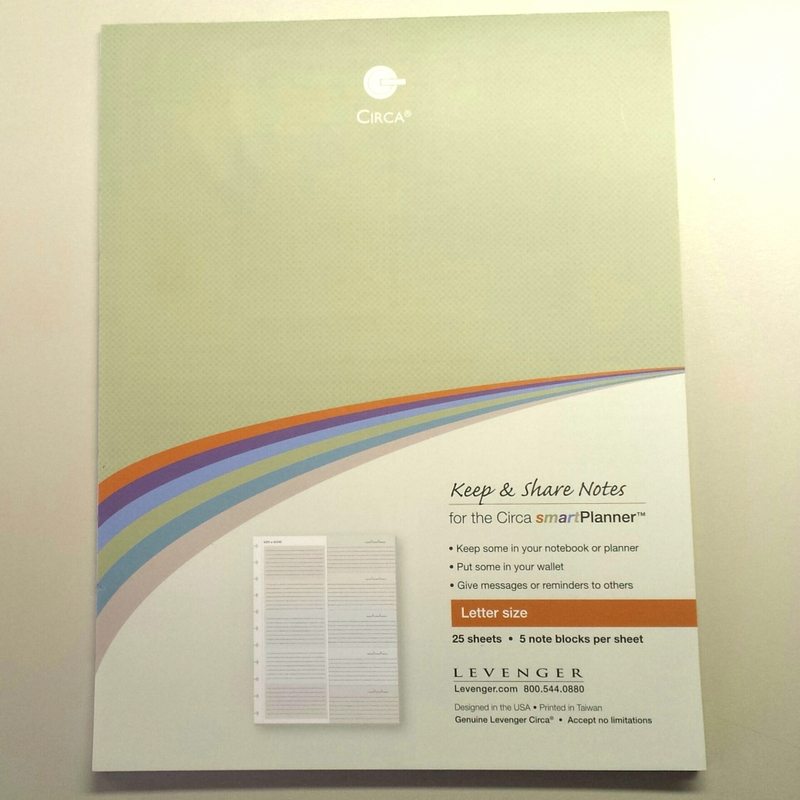 Levenger also includes tip sheets on how to remove covers and pages safely too. 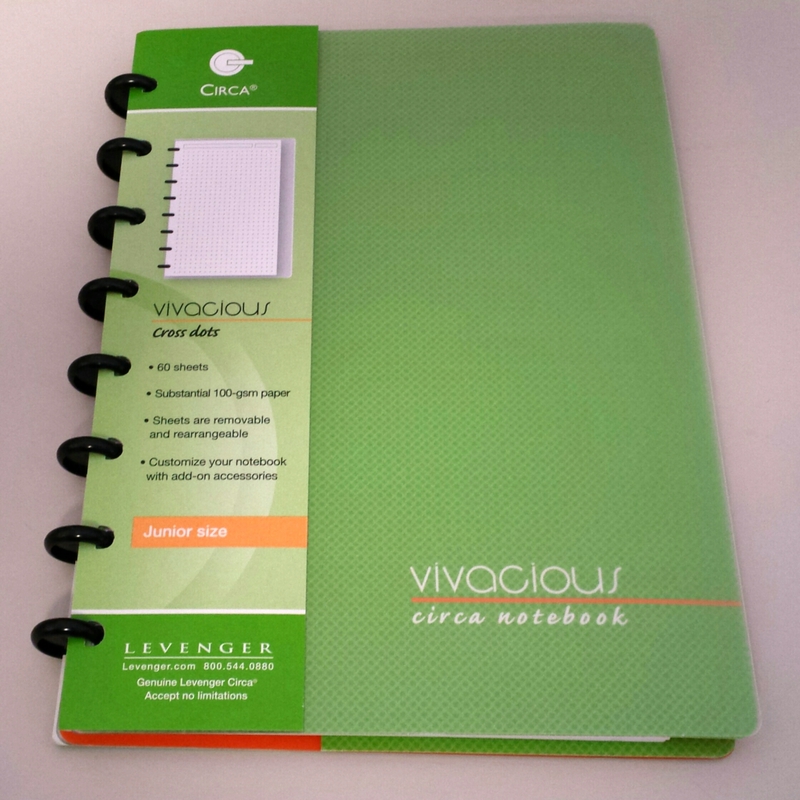 The company does a great job at educating its customers on the Circa system and how to use it effectively. 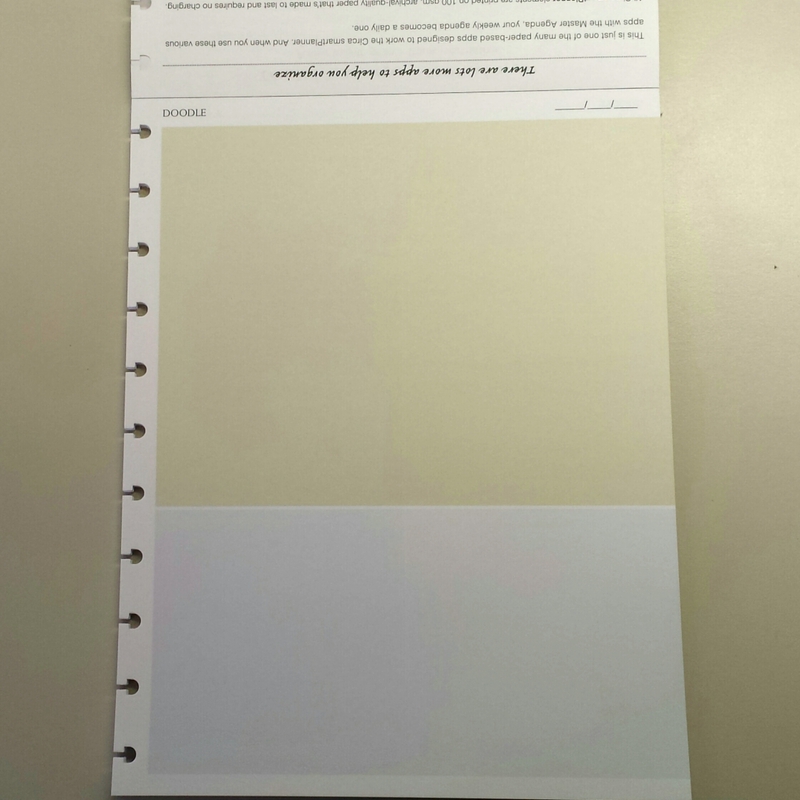 The notebook came with Levenger’s standard annotation ruled refills. 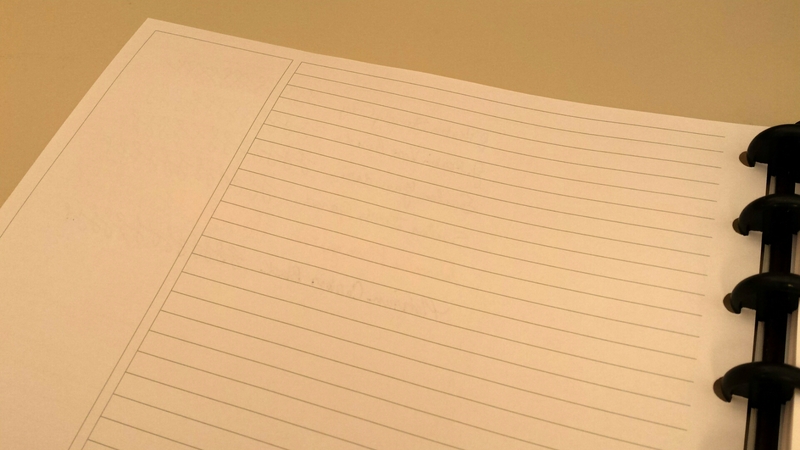 While in the past I’ve not been overly impressed with the paper quality of their standard refills, there is no feathering or bleedthrough on these pages that I’ve seen. 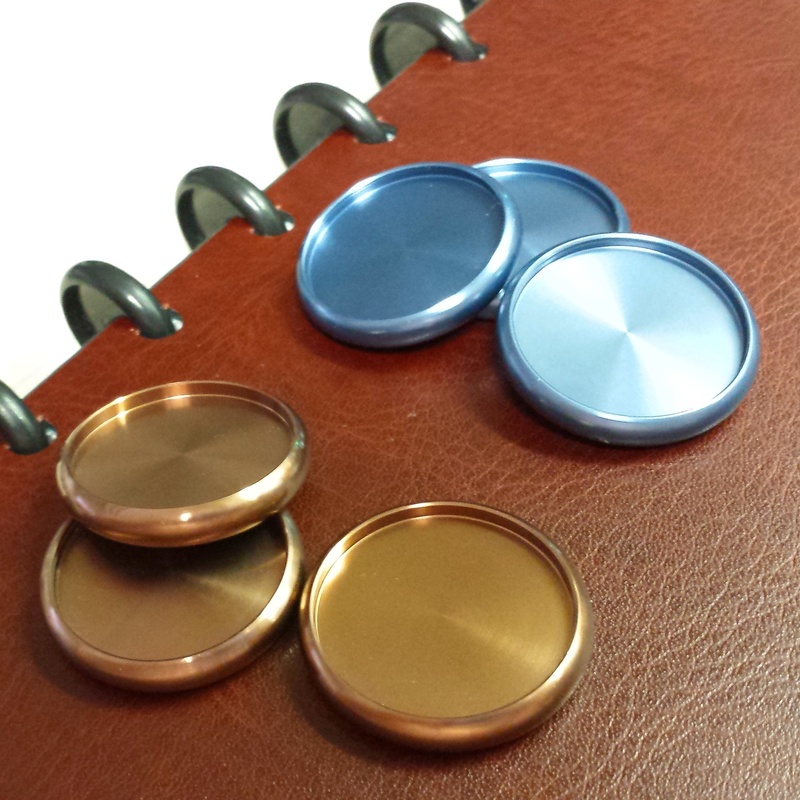 Shown here in Letter-size with my “plum” aluminum discs, and in Junior-size with “caribbean” aluminum discs. 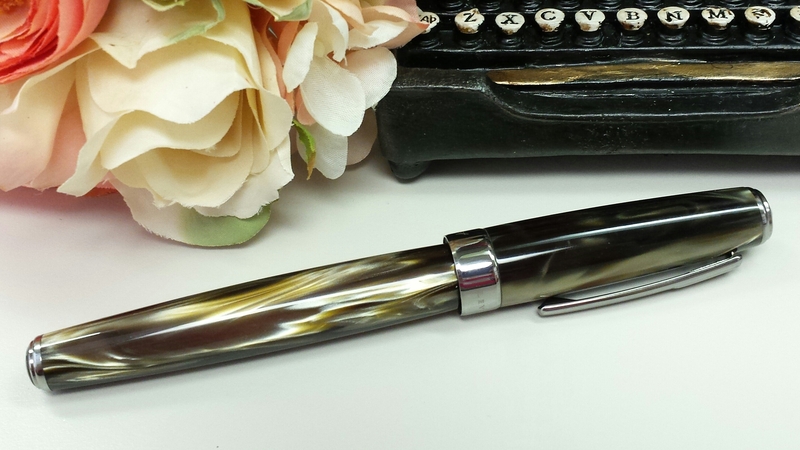 And my Rebecca Moss fountain pen. 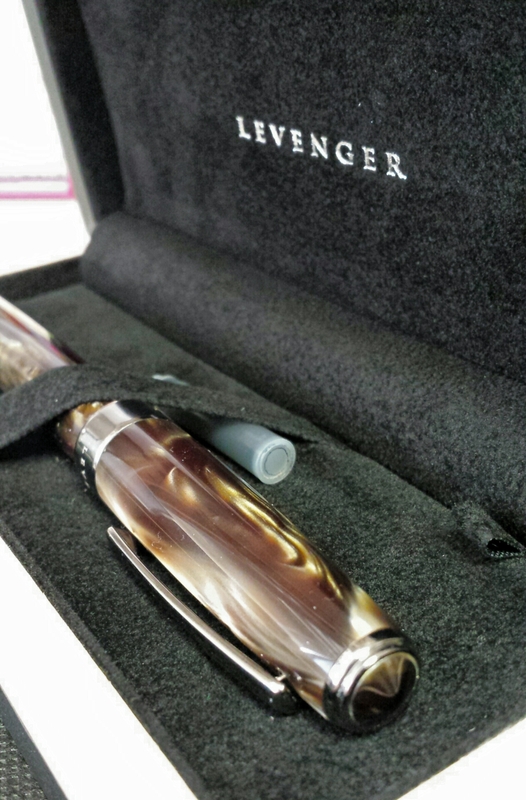 And was excited to unwrap and see this beauty! 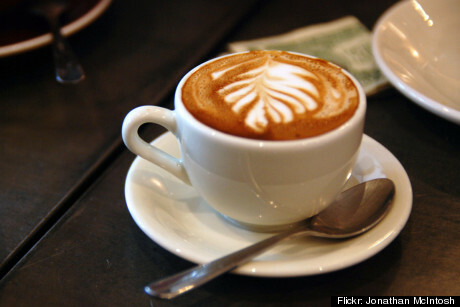 The cocoa is a nice chocolatey brown. 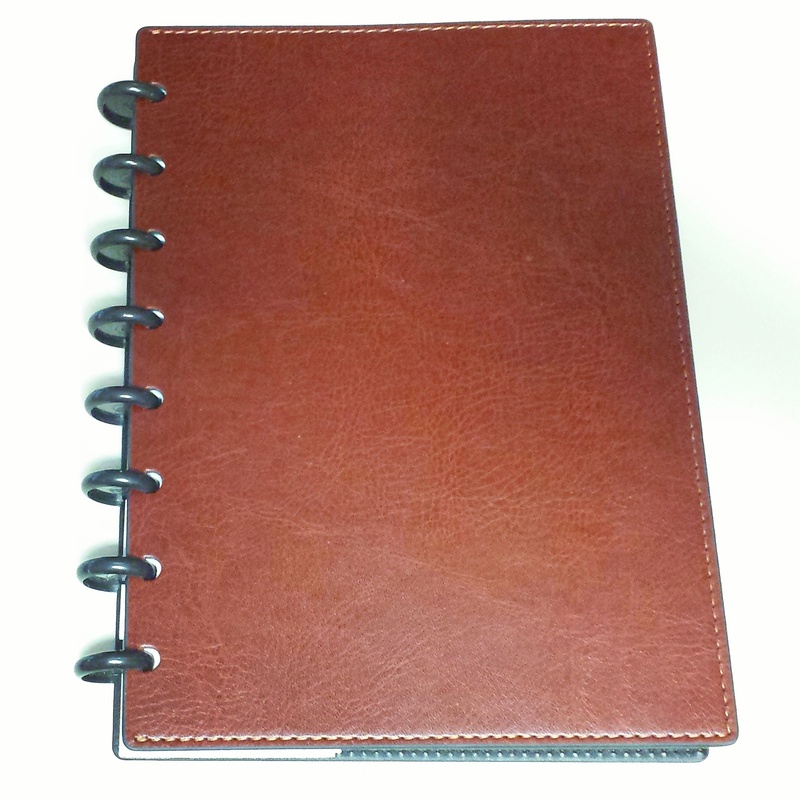 What’s unique is how the leather cover extends all the way past the punches, whereas usually the leather is affixed to a black plastic strip. 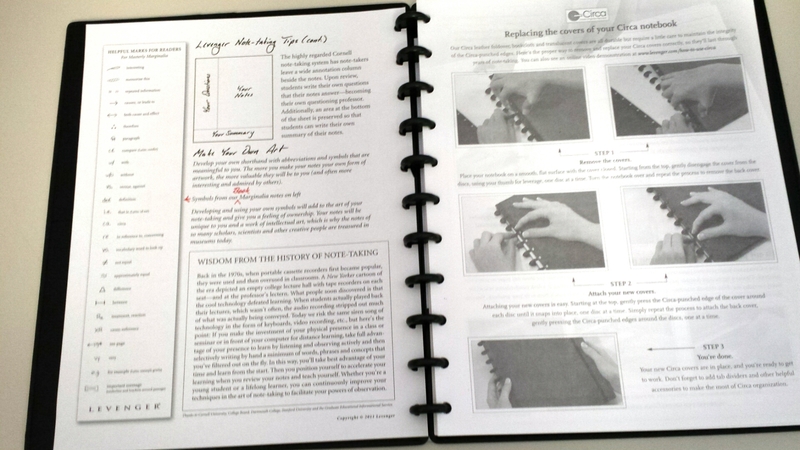 The inside view of the cover. Best of all, look at how little room it takes up on the discs! The lighting is way kinds of off in this pic! The copper looks gold. 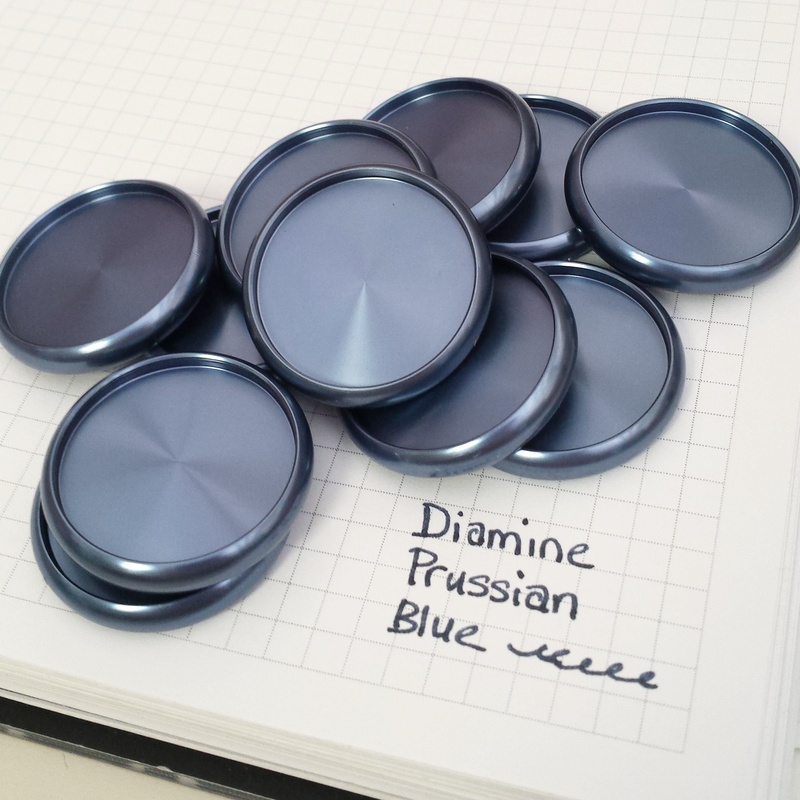 I went with the Cornflower Blue discs, and really love how they look against the brown. 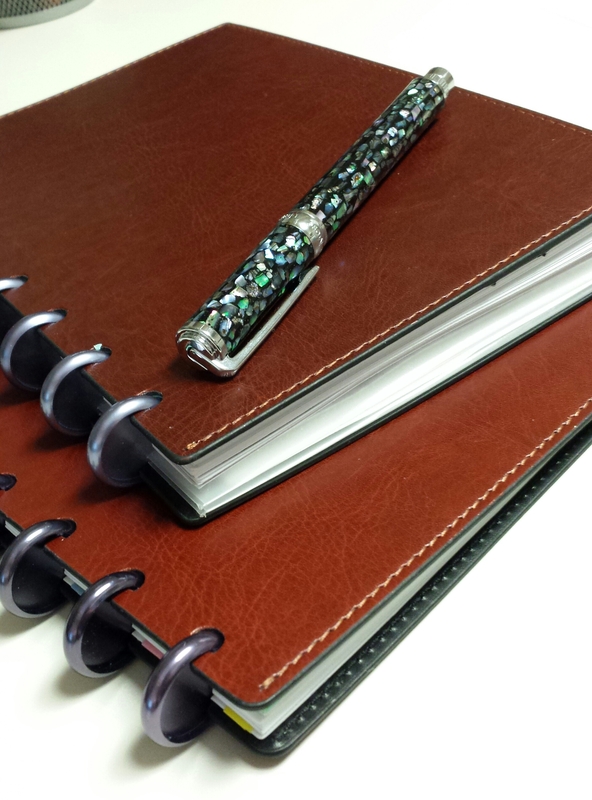 This pairing works perfectly with the Levenger Multicolored Plastic Tab Dividers. I just can’t get over how little room it takes on these discs! 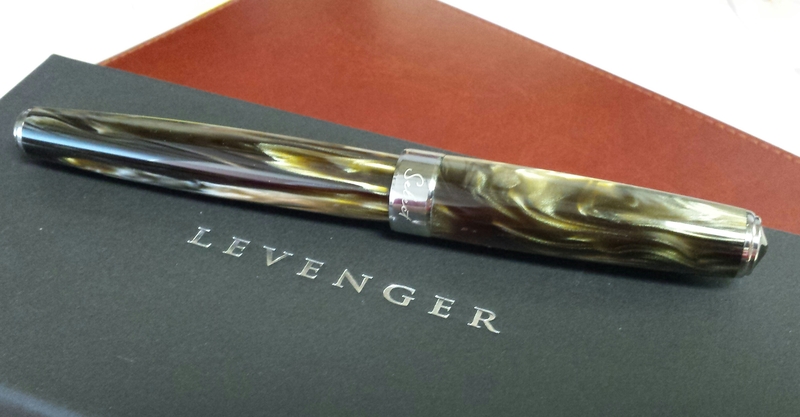 My eBay find (because they are now discontinued) of 1″ Levenger Circa aluminum discs in Cornflower arrived today! 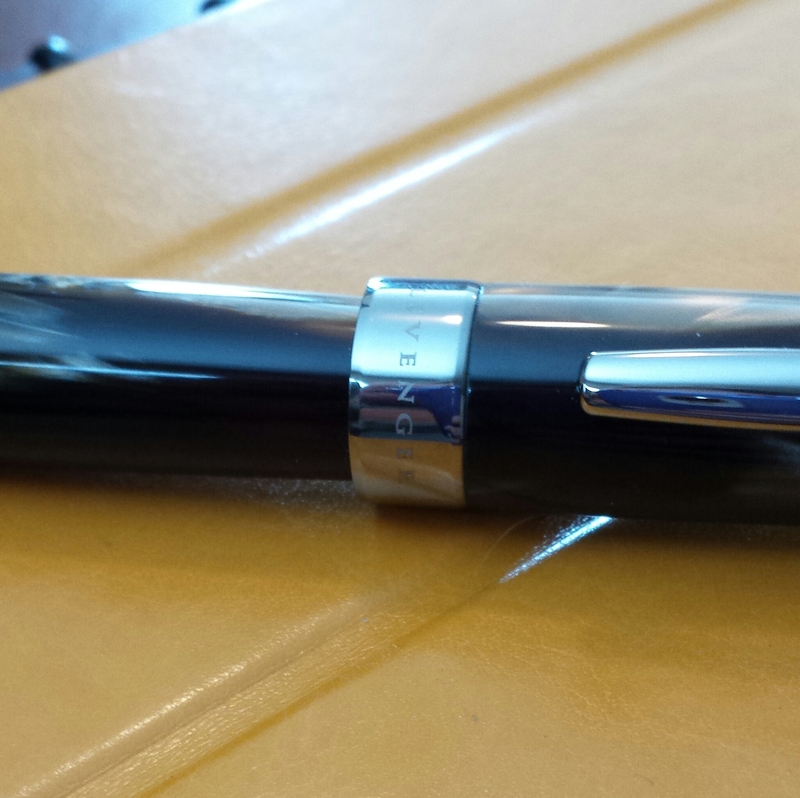 And I LOVE the color – it’s like a steel or cadet blue. 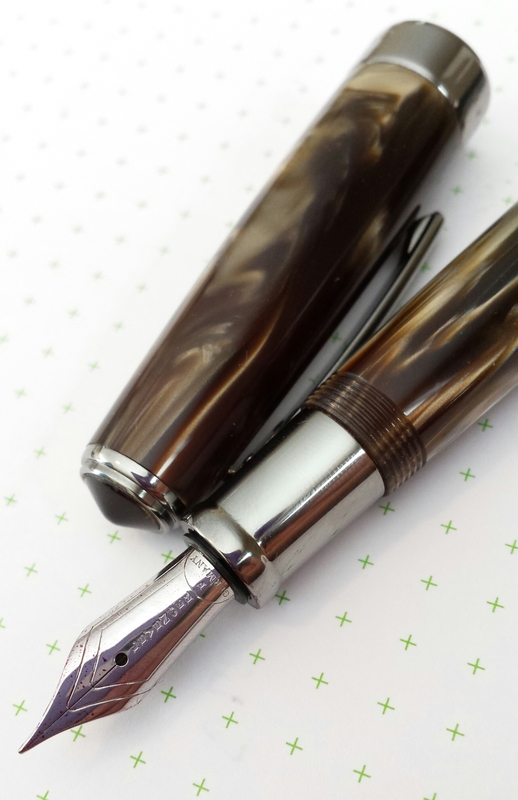 It matches my favorite ink perfectly!! I still wish they were 3/4″ but oh well. 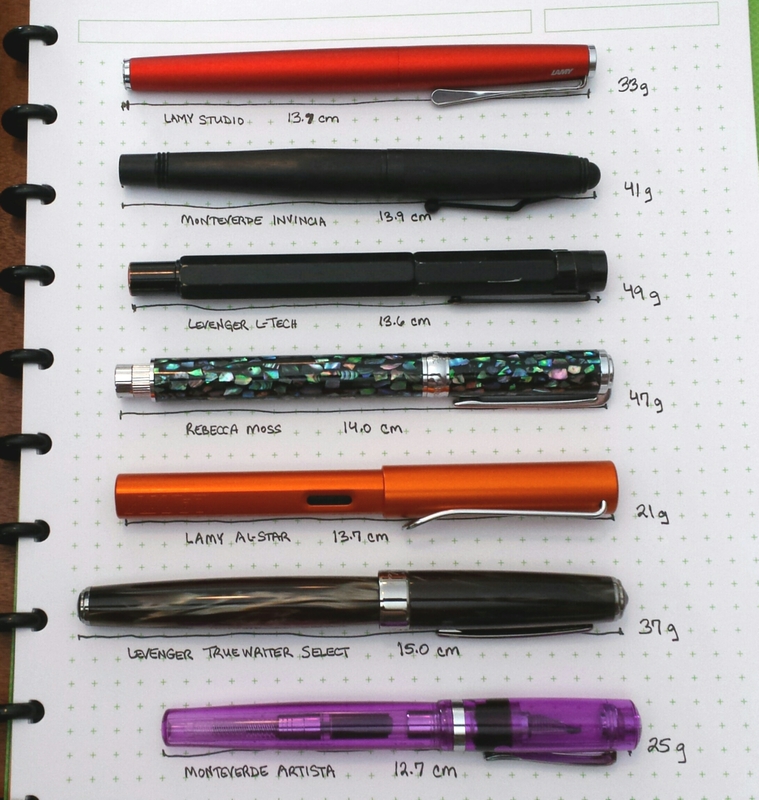 And here they are in action in my Levenger Circa notebook.